Location: Moorfields, London (1751-1787) Islington, London (1787-1916) Muswell Hill, London (1930-2012). Status: Closed 2012, buildings awaiting conversion in 2015. St. Luke’s first opened its doors at a converted site in Moorfields very near to New Bethlem, in 1751. 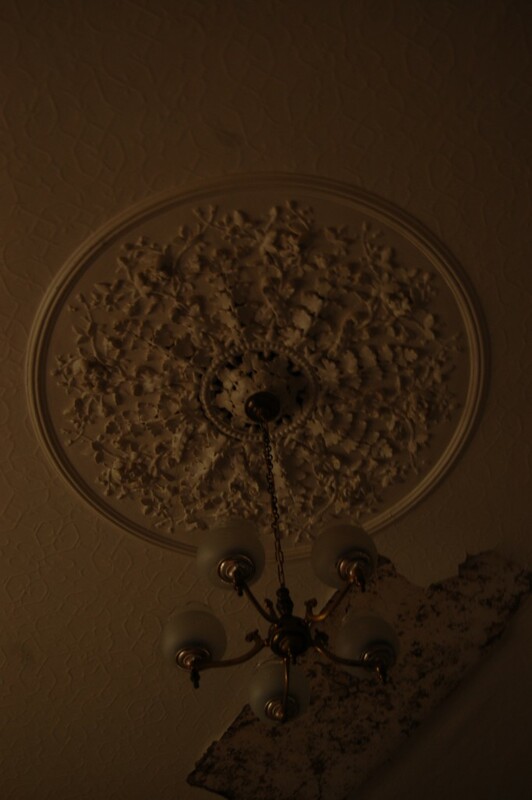 It then moved to a purpose-built location in the 1780’s before finally relocating to Muswell Hill during the 1930’s. 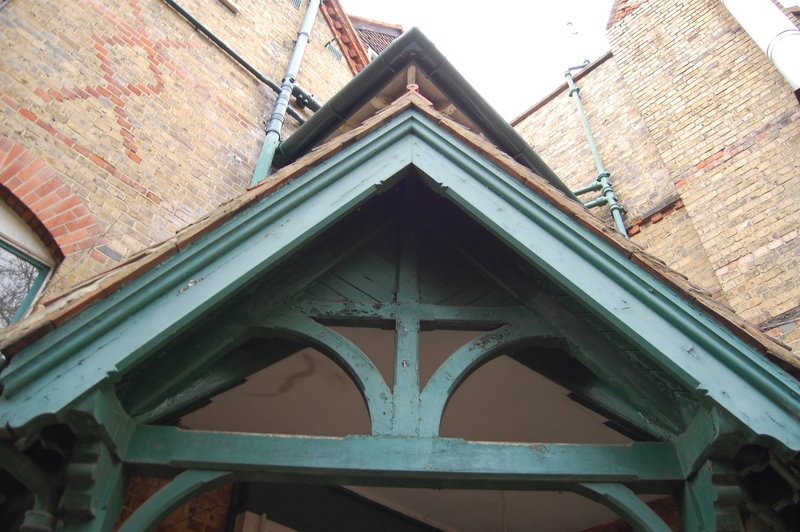 Architect: Unknown – former foundry converted by George Dance (the elder). Location: Windmill Hill (now Tabernacle Street), London EC2. Architect: George Dance (the younger). Plan: Converted residential buildings with additions forming a condensed colony layout. 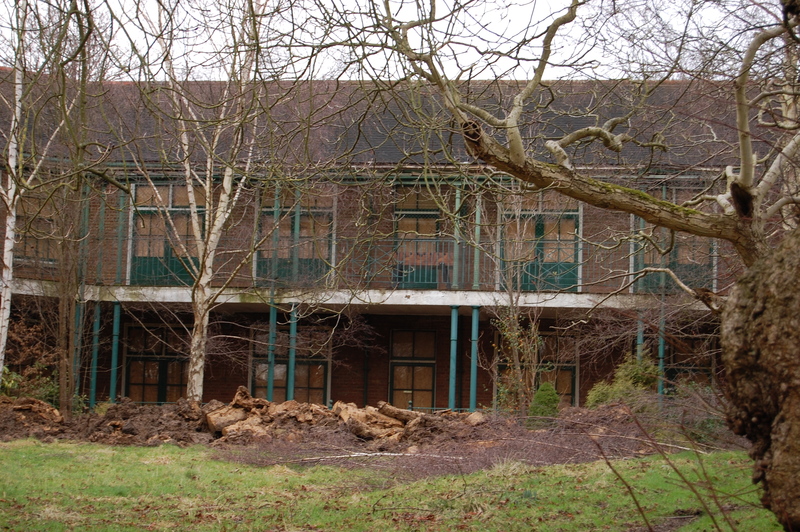 Current status: Ward buildings demolished 2015, admin block preserved awaiting conversion to elderly housing complex. The first formal planning meeting for what would become the St. Luke’s Board of Governors took place on the 13th June 1750. Chaired by Dr Thomas Crowe, and with only 5 other members present, the minutes go on to make clear that New Bethlem aside, the existing provision for lunacy in London is wholly inadequate, so a paper was drawn up to advertise this charitable new mission, which stated that any person paying a sum of 20 guineas or more (or committing to pay 5 guineas yearly for 4 years in succession) would be admitted onto the Board of Governors for life. The group were successful in securing the subscriptions they required, and the Duke of Montagu, George Brudenell (1712-1790) was appointed as Board President, holding the post until his death. A Committee was formed to begin looking for a suitable building. 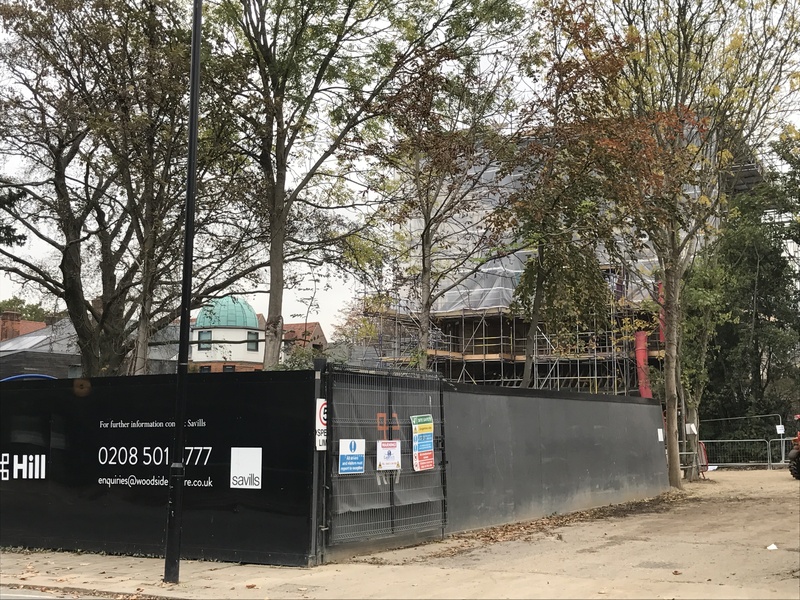 The newly-formed Committee quickly settled upon a disused cannon foundry located at Windmill Hill in Moorfields – the partially-destroyed building had lain derelict for 23 years, before the evangelist John Wesley (1703-1791) preached at the ruined site in November 1739. He eventually leased the shell of a building from The City and as well as moving into it and living there himself, in the process founding the first branch of the Methodist Church. The building also became a medical dispensary and gave out alms and lodgings to the poor; when St. Luke’s Committee leased the building, Wesley and the other occupants begged to be allowed to continue their meetings and for additional time to relocate. The struggling new church was granted permission to remain as long as possible while the conversion to an asylum took place. George Dance (1695-1768), was the Surveyor to the City of London and would go on to create some of its most important buildings, including the prominent Mansion House of 1752 – the official residence of the Lord Mayor of London to this day – and several fine churches, most of which still stand. Dance was employed to inspect the Windmill Hill Foundry and draw up some proposals for their conversion to their new purpose, which he generously agreed to do without taking a fee. 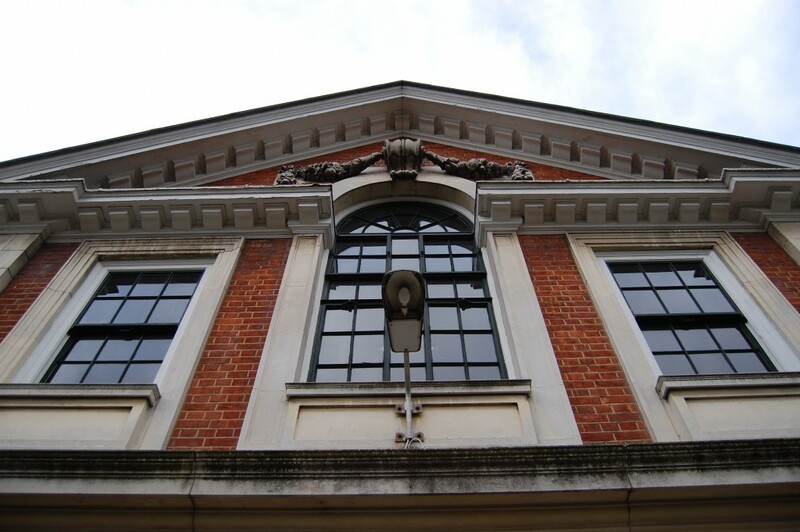 Essentially a truncated corridor layout, contemporary images show that the exterior was very stark and plain when compared to New Bethlem, with only the slightest detailing around the windows, and pediments over the pavilions at either end. Dance appears to have taken his cues from Isaac Ware’s similar design for St. George’s Hospital – the only other purpose-built hospital constructed in London during the preceding 25 years. Although the exact size is not known, in 1786 there were unrealised plans to extend the front aspect to a width of 480ft, so we can make an educated guess that it was likely to have been at least three-quarters of that width originally, making it somewhere around the 360-400ft mark. 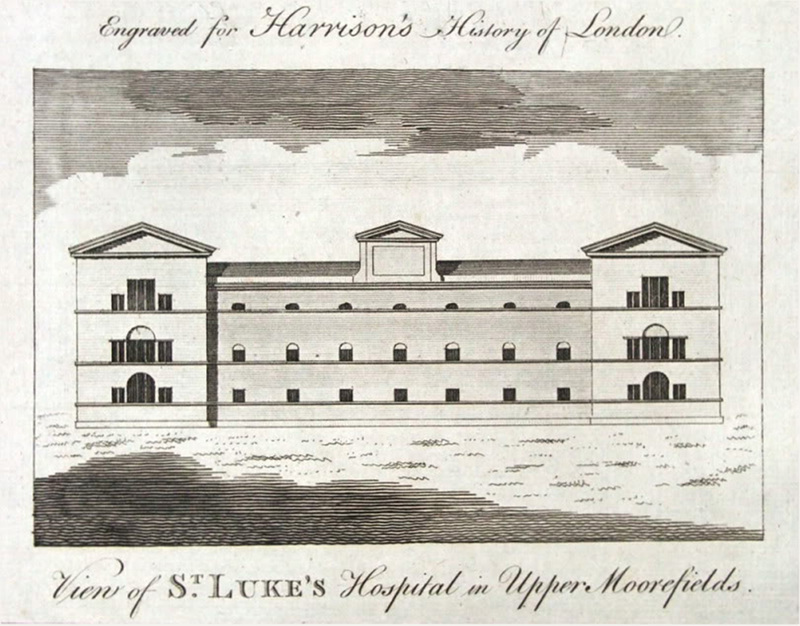 St. Luke’s at Moorfields was opened for its first patients in July 1751 and initially had room for 26 in total. The rules and regulations were held to be of extreme importance and all roles and duties, from those of the Governors and the Superintendent, the Apothecaries, Stewards and Keepers, along with every detail of the day to day running of the wards, were written out by a sub-committee in 1751 before it opened. With only some very minor amendments, these would remain the prevailing point of reference regarding how the asylum was to be run for the next century. 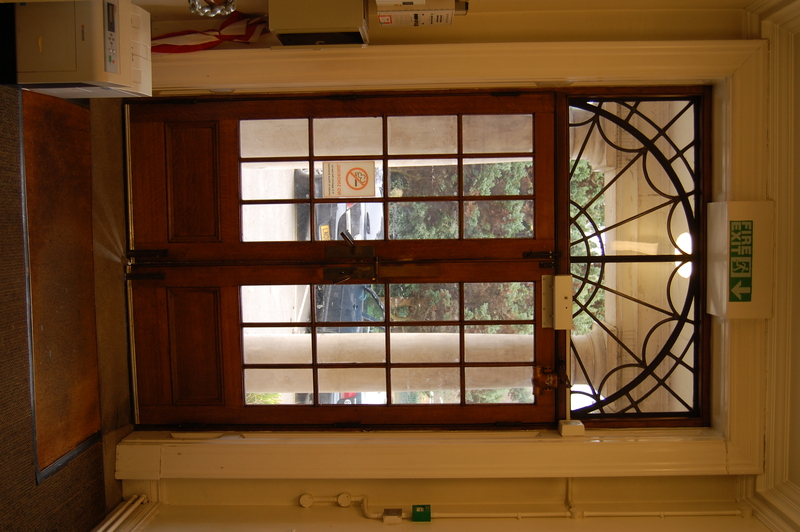 Many key points were in direct response to perceived flaws in the management of New Bethlem, including the vow that none of St Luke’s’ patients would be exposed to public view, as all still were at New Bethlem on a daily basis, and that any Servant who took any money or gratuity from any tradesman, patient or associate of a patient would be instantly dismissed. As was then common practice in asylums, a Physician, Surgeon and Apothecary were all employed – the Physician expected to visit at least twice a week, the Surgeon at least once a week and when called upon, and the six Apothecaries working in a system of rotation with the man on duty expected to attend no less than three times a week. 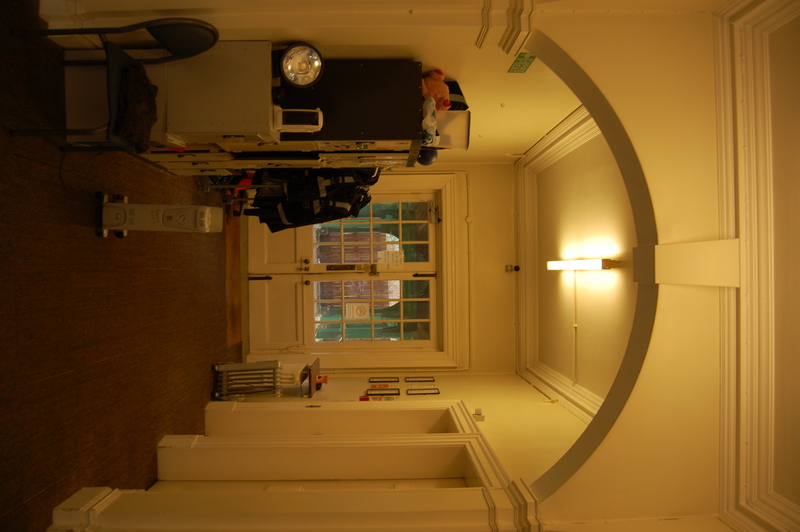 The initial ward staff consisted of a Head Male Keeper and Head Female Keeper (who were in fact husband and wife, and had formerly worked at New Bethlem) who had two male and two female Attendants working under each respectively. The Head Male Keeper was charged with overall responsibility for the day-to-day running of the wards and the rules stated they were also responsible for ensuring the patients’ diets were measured out correctly, as well as locking up the asylum between 9pm and 7am during winter and 10pm and 7am during summer. The Head Male Keeper was also held accountable for all items of furniture, as well as ensuring the male attendants performed their duties correctly. The Head Female Keeper was expected to see that the female attendants perform their duties correctly, and to ensure that all washing – which would be done exclusively by the female attendants in addition to their other duties – was clean, present and correct. At this time, all the ward staff lived within the asylum, rent-free, which was then considered a major job perk. St. Luke’s first and most-celebrated Physician was Dr William Battie (1703-1776)., who was a member of the Royal College of Physicians and grew interested in psychiatry (or “mad-doctoring” as it was still known at the time) with his entry onto the Bethlem Board of Governors in 1742. His later contributions to the profession were manifold, permanently changing attitudes toward the treatment of the insane. Battie was in frequent quarrel with the Monro family, who by the 1750’s had run New Bethlem for two generations and were fundamentally opposed to his and St. Luke’s firmly-held opinion that madness didn’t just need to be “managed”, it could also be cured. This made him the perfect candidate to fulfil the curative, progressive vision that the St. Luke’s Governors held. 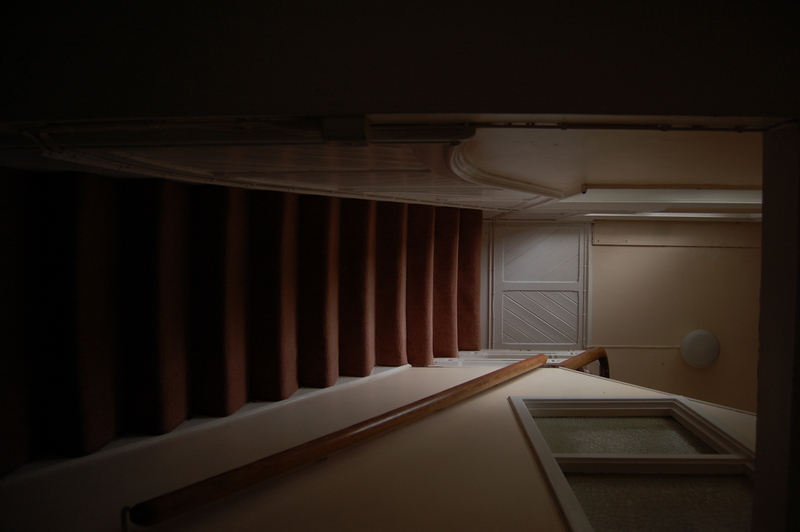 Dr Battie envisioned an environment where his patients were kept away from as many external excitements as possible, with no visitors (including friends and family) and no personal attendants or servants beyond those employed by the asylum, supplemented with good, simple diets within clean and comfortable but sparse surroundings. The bare rooms and halls of St. Luke’s early days indeed met this vision, its constitution being deliberately planned as “plain and substantial, and without ornament”. Dr Battie continued in his position as Physician until 1764, when he was elected President of the Royal College of Physicians, and was succeeded at St. Luke’s by Dr Thomas Brooke (d. 1781). Reports to the General Committee show that money became increasingly available as donations steadily rose, and some had been spent on extensions by the end of its first decade of operation in 1761. 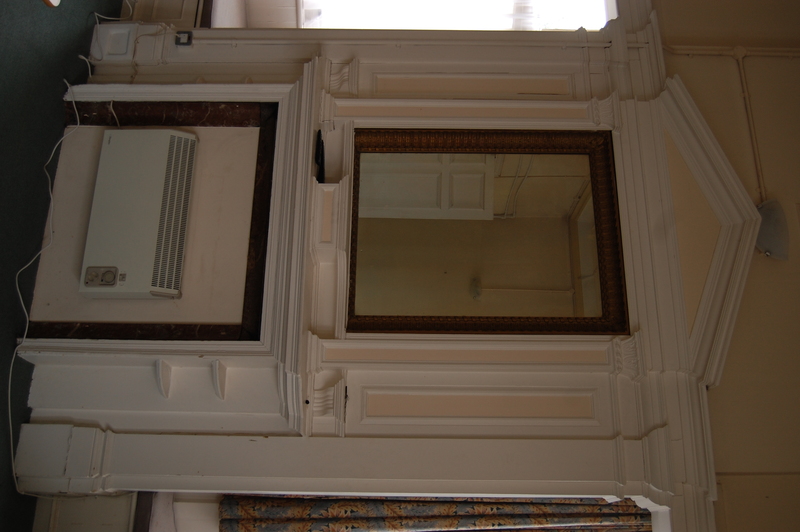 By then, the asylum had grown to accommodate 70 patients in total – 50 classed as “curable”, and 20 thought “incurable”. By 1780, St. Luke’s held 110 patients and needed to be expanded again. Plans were drawn up to extend the building, but the lease was soon due for renewal. Despite offers from the Governors to The City to extend the lease at a reasonable fee, or to purchase the land outright, they were unable to reach an agreement, and so the Governors began considering the limitations of their current site, in the end deciding it was probably more prudent to start looking for an alternative one. With some very careful expenditure and investment, as well as regular donations and money bequeathed in various wills, St. Luke’s accounts were looking quite robust. 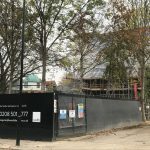 Thanks in particular to a massive £30,000 left to them by Sir Thomas Clarke, the prospect of a completely new building was now an affordable and preferable option. 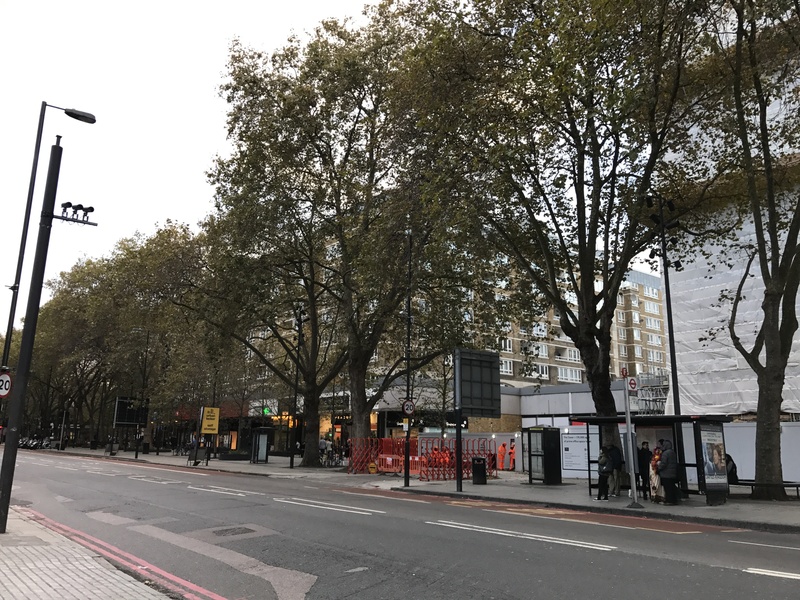 The Governors of St. Bartholomew’s Hospital had offered some land on their Peerless Estate on the north side of Old Street, in what was then considered semi-rural Middlesex, now Islington, very much a part of central London. The lease was agreed and in 1778 George Dance “the younger” (1741-1825), son of the designer of the first St. Luke’s, was appointed to design the new building. Dance submitted two plans and estimates for the new asylum, but both were considered too expensive by the St Luke’s’ Governors. Remarkably, it was 4 years before Dance eventually submitted a plan thought cheap enough to be accepted – once more showing the Governors’ propensity for tight budgeting at work. The foundation stone was laid by the Duke of Montagu on 30th July 1782 and 5 years later, the Old Street St Luke’s was completed. The Governors were just as proud of their new building and eager to show it off as the public, press and medical community were to have a good look at it, but the regulations still forbade casual visitation, so the opening was delayed by around 3 weeks to facilitate tours, with patients finally transferred to their new cells on New Year’s Day, 1787. 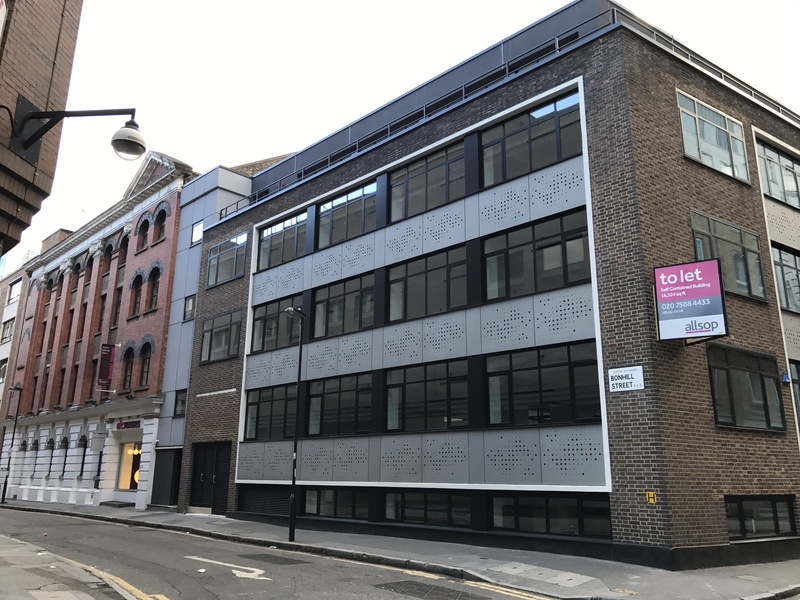 The façade of the new building was simple, graceful and impressive, if a little formal and austere, but much was written over the years in appreciation of its modestly handsome aspect. 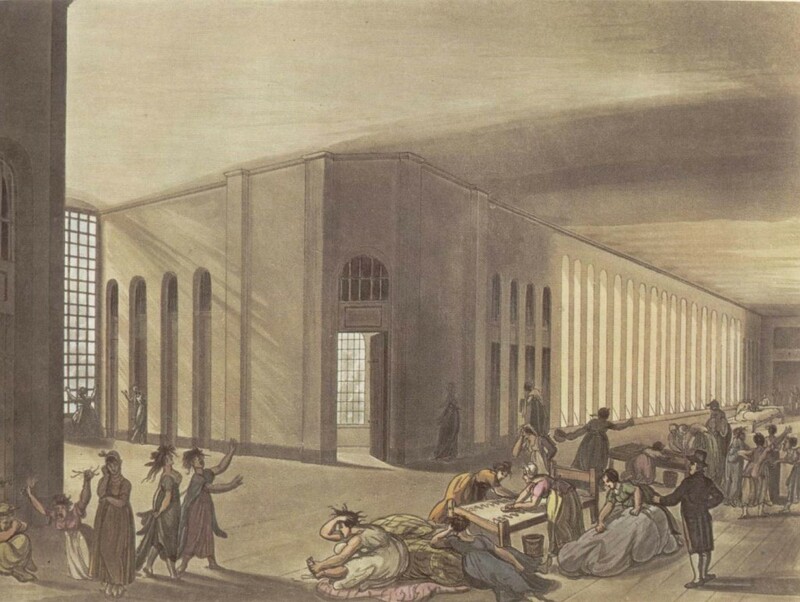 Unlike his father, Dance “the younger” took some cues from New Bethlem, and created a building of similar dimensions – a 540ft wide symmetrical corridor-plan on three floors, with minor Palladian detailing, rather than the baroque flourishes of London’s other public asylum. The strikingly repetitive rows of windows, each set in a relieving arch, were punctuated by the administration block in the centre, and balanced with pavilions of equal height at either end. 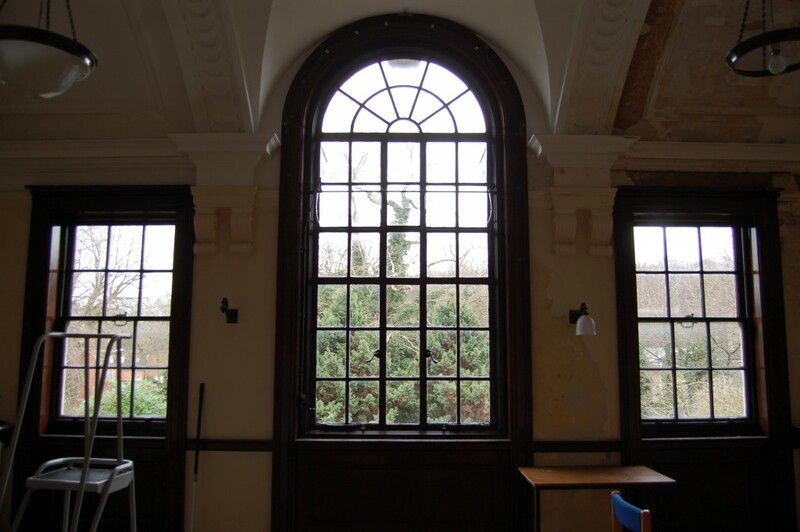 The admin block was topped with a low pediment (to which the words “Saint Luke’s Hospital” were later added), and on the ground floor was an entrance hall, dining room and visitor’s room along with rooms for the Apothecary and the Keeper. 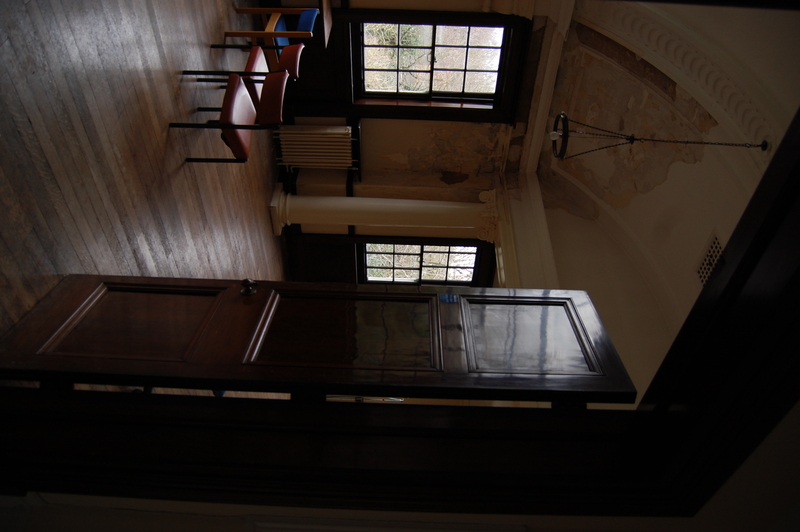 On the 1st floor there was a waiting room, the Physicians’ room, and a large committee room. 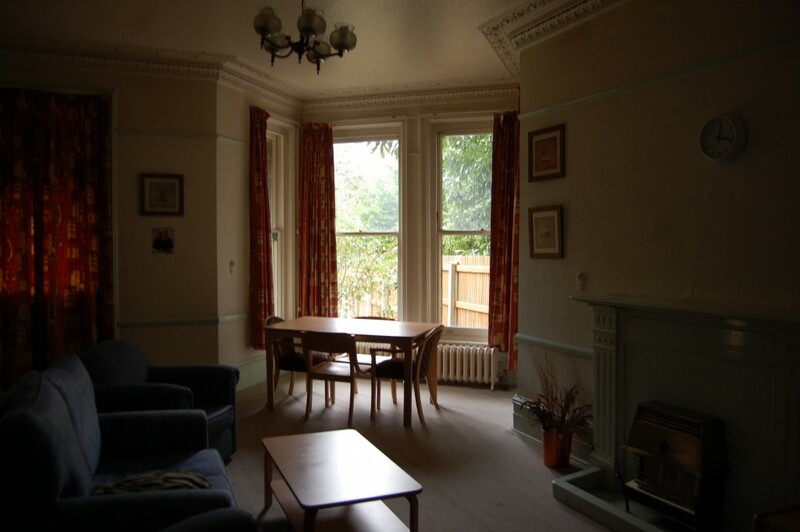 The 2nd floor comprised of bedrooms for staff. 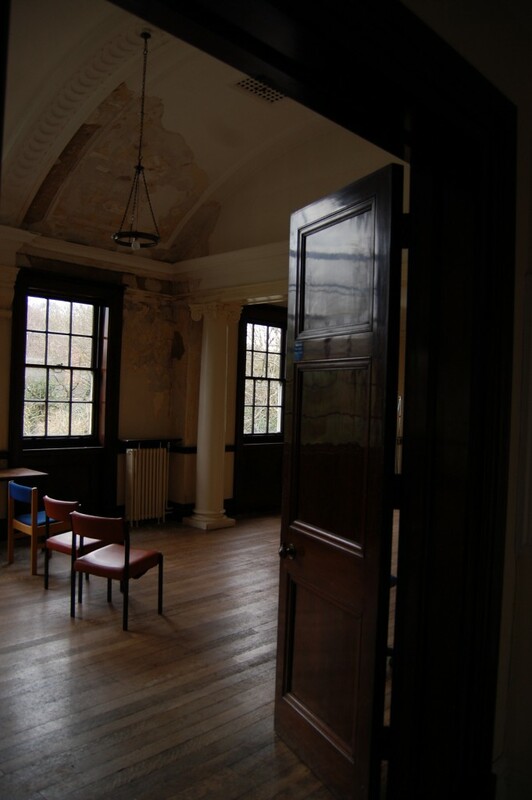 The wings held the patients’ cells and 15ft wide galleries, which had two sitting rooms in each – one for quiet patients and another for the more noisy or disturbed. 192 cells for patients were spread between the three floors, separated into male and female wings to the east and west respectively. There were sometimes up to 300 patients, so some would share small dormitories containing up to 4 beds each. 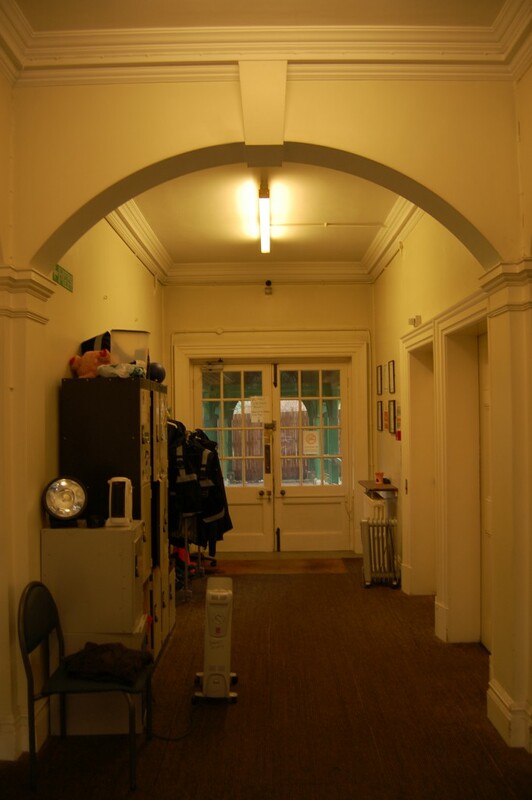 In a move that was replicated at Royal Bethlem, extra space was created by building two short additional wards which stuck out at right-angles behind the admin block. The Physician of the asylum during this period was Dr Samuel Foart Simmons (1750-1813), a respected and well-travelled man whose medical writing had been published widely. 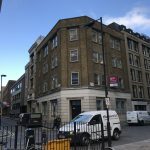 He had taken up the position in 1781, and transferred to Old Street along with his patients. In the same year as he took up his post at St. Luke’s, he also became editor of the London Medical Journal, revealing that, while he may have taken a more active role than the notorious absentee Physicians at New Bethlem, he still had plenty of time left over for other activities, and he would amass a considerable fortune through his private mad-doctoring too. Dr Simmons undertook much study and writing in regard to mental diseases while at St Luke’s and while Bethlem had long basked in the glow of Royal patronage, it was actually Dr Simmons’ expertise that was called upon (rather than Dr Monro at New Bethlem) when King George III relapsed into madness in 1803. It is absolutely impossible now to retrospectively evaluate all the methods used at St Luke’s, or to have any concrete idea of what positive or negative effects these various treatments might have had when used together or in isolation, all within social and moral frameworks that cannot possibly be replicated, or perhaps even fully understood, today. However, it is safe to assume that a modern psychiatrist would make a rather different diagnosis of those admitted and discharged during the first century or more of the asylum’s history. But by St. Luke’s own contemporary evaluation, of the 7,488 patients who passed through between 1751 and 1803, an impressive 44% were discharged as “cured”. 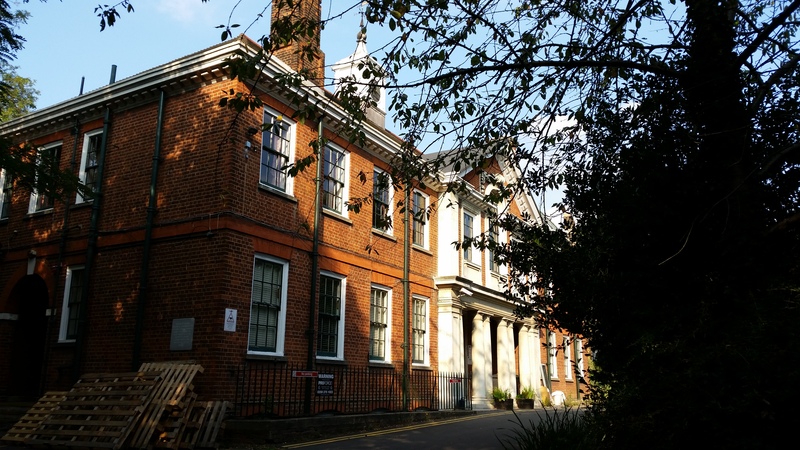 From 1811, Dr Sutherland (1781-1861) ran the asylum for 18 years, before the Governors decided in 1829 that the role ought to be shared between two Physicians as it now was at Royal Bethlem, and thus Dr John Warburton (1793-1845) was appointed as co-Physician. 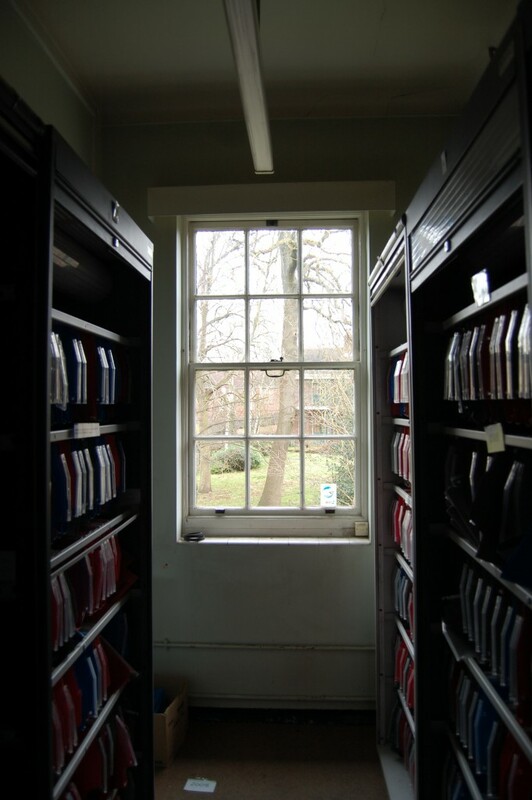 At Hanwell Asylum, Dr William Ellis and Dr John Conolly’s pioneering writings around the categorisation and management of patients, as well as the ideal arrangement of asylum wards had made a big impact on the mad-doctoring profession across the globe. As a result of this new thinking, the two Superintendents at St. Luke’s were inspired to implement changes whereby the ward systems and layouts were redesigned to apply clearer categorisation within their own asylum. The wards were re-apportioned to provide spaces for 90 curable and 59 incurable females along with 74 curable and 53 incurable males. 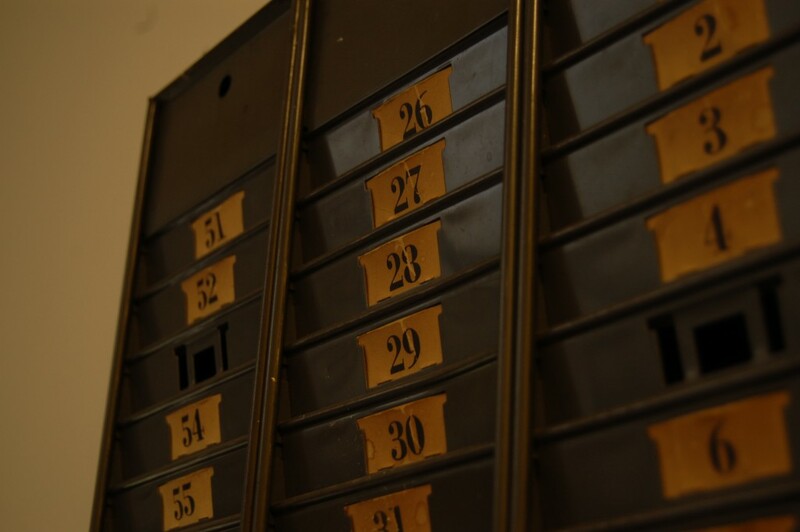 This made space for 276 patients in total who could now be kept entirely among others designated to the same category, which was then sub-divided into noisy and/or dirty and calm and/or convalescent patients. Dr. Warburton was the first asylum Physician to administer morphine compounds to patients in order to calm and promote sleep – or to put it another way – to artificially ensure a quiet night in the asylum without excessive mechanical restraint. 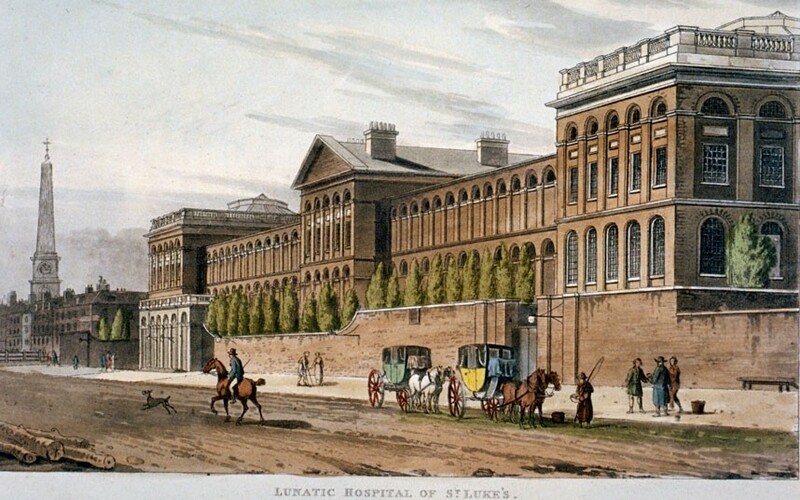 While St Luke’s had been visited by asylum reformers such as Edward Wakefield, the first official inspection into its affairs came in 1827 (after the Lunacy Commission had been established to ensure minimum standards at all asylums) following complaints from a patient who had been discharged as “incurable”. Like many psychiatric patients, the fact that he suffered from a mental illness should not be assumed to necessarily affect his general lucidity or other mental functioning. He obviously presented a case convincing enough that the Lord Chancellor himself ordered an inquiry, sending two specially-appointed Physicians along to inspect St Luke’s, interview the staff and patients, and investigate the man’s claims. His main grievances had been about general poor treatment, the bad quality and meagre quantity of the food, and the fact there were no attendants present on the wards at night – the accuracy of the latter point certainly not in any dispute. The conclusion was that the patient in question, while quite amiable and very much able to express himself clearly and coherently, suffered from “persecution mania” and imagining such scenarios, in which he was always the victim, was a symptom of his illness. The inquiry found that he had not suffered any visible or physical signs of malnutrition or ill-treatment, just as other patients appeared acceptably fit and well, and even stated that the food offered at St Luke’s was found to be “more liberal in quantity than full diet in other hospitals” although “perhaps different from that to which a person in his former station in life was accustomed”. 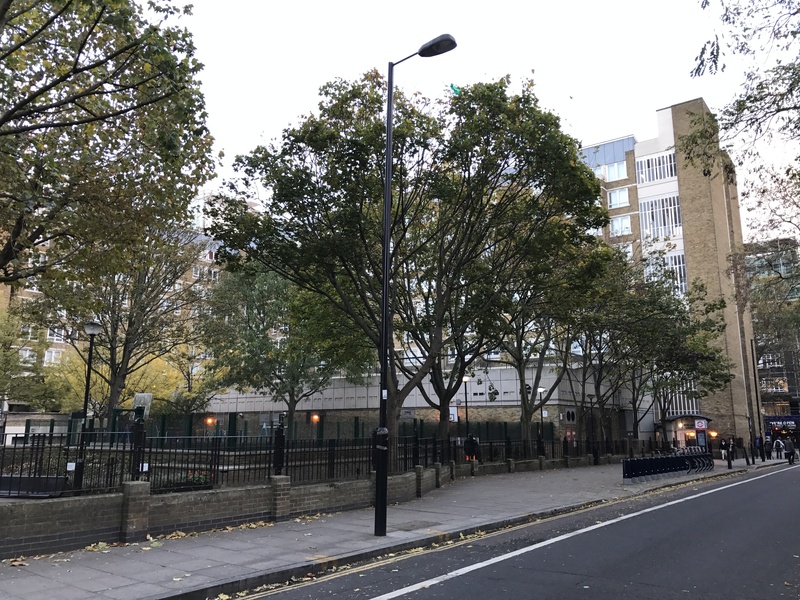 The only significant criticism to come from the inquiry related to the complainant’s last issue – that there really ought to be staff on the wards at night. Due to the advice of the investigation, this became standard procedure later that year. Despite the new rule being in place, just four years later in 1831, the criticisms of non-restraint policy given by Dr Sutherland and Dr Warburton might have appeared borne-out when, for reasons unknown, a patient sleeping in a shared room was beaten to death by his three room-mates. The two attendants on duty stated that they had not heard a thing all night – a little suspicious perhaps, but not impossible, however, they were immediately dismissed as they had facilitated the tragedy by neglecting to chain the patients up – as was still the rule in shared rooms even after the appointment of night staff. For the first time since 1751, the Governors were feeling pinched for cash, and began to vigorously promote the asylum’s good name again, in the hope of securing further public charity. 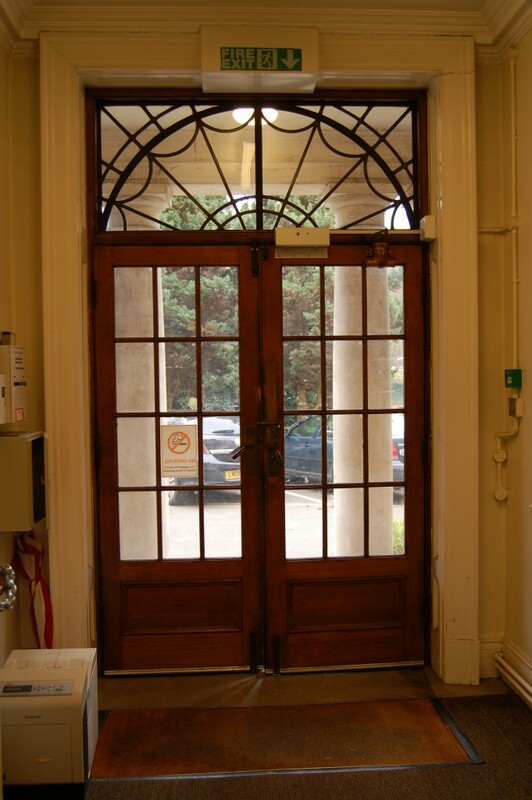 New Bethlem was long gone and Royal Bethlem had been built in its place, significantly superseding St Luke’s both in its size and to a lesser extent, its modern amenities. In the preceding 30 years, new public asylums had been built in other important towns and cities such as Norwich, Lincoln, Lancaster, Manchester, Bath, Edinburgh, Stafford and Nottingham. Highly-praised and increasingly-elaborate designs for asylums had been constructed at Glasgow, Bodmin and Wakefield as well as the innovative Hanwell asylum which had opened to serve Middlesex and London in 1831. 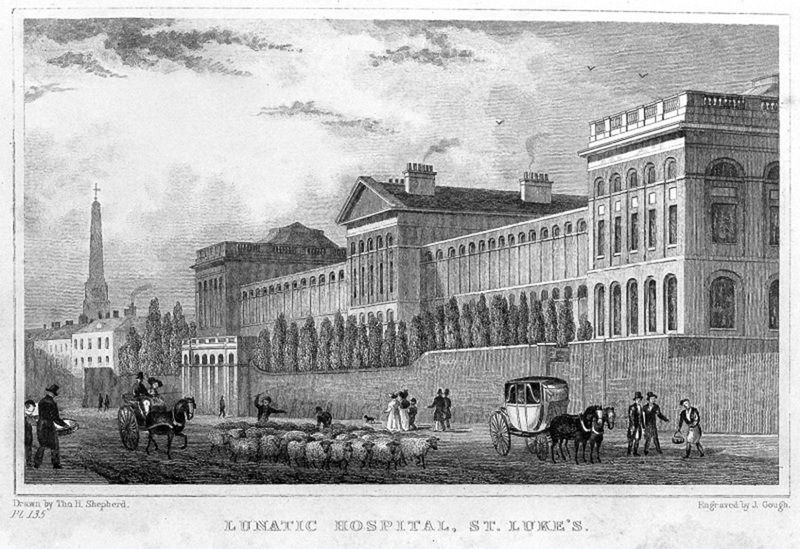 As a result, St Luke’s Governors feared their asylum was now looking more than a little antiquated in comparison, and so their report of 1831, widely circulated to the press and public, expressed St Luke’s continued benevolence and enviable success at discharging cured cases, as well as detailing the many improvements they had made. 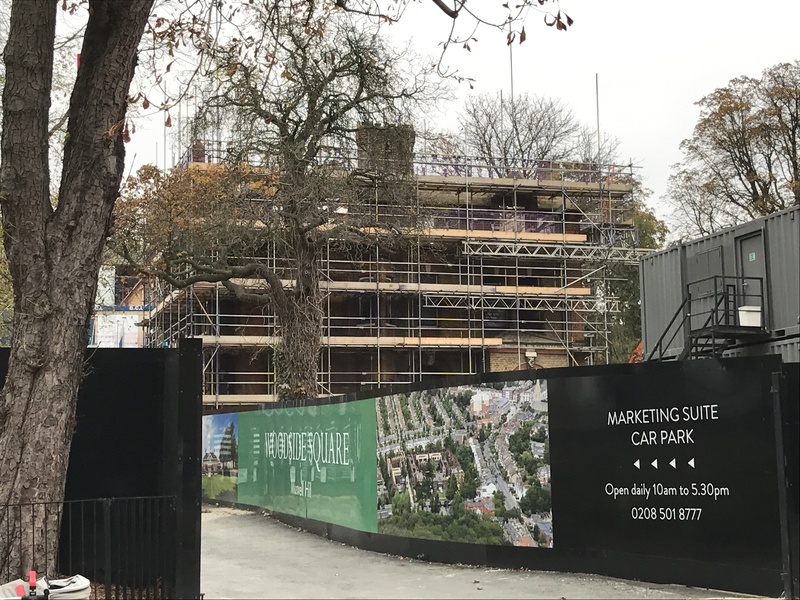 These included the appointment of the night-shifts on the wards, warm baths finally available on both sides of the building, improvements to the windows and an internal communication system for safety and efficiency. The beginning of the 1840’s also saw the beginning of a new regime as Dr Sutherland and Dr Warburton retired to be replaced by Dr Alexander J. Sutherland and Dr Francis Philp in 1841 and 1842 respectively. Dr Alexander J. Sutherland (1810-1867) was of course the son of the previous Dr Sutherland and he became another in the line of well-respected Physicians at St Luke’s, and was often praised by his patients, the Governors and other staff alike. Conveniently in some ways, 1842 – the year in which the two new Physicians were both in situ – was also to be the first year in which St Luke’s was subject to inspection by the Metropolitan Commissioners in Lunacy (MCL). Like Bethlem, St. Luke’s had been exempt from successive parliamentary acts which had opened-up other public and private asylums for inspection (mainly because they were not funded by County Rates nor formally classed as a “private” asylum), and in spite of the Governors’ best attempts to avoid it, the Lunacy Act of 1841 saw this finally change, just as it would for Bethlem a decade later. Despite having successfully weathered previous official inspections, this brought on a flurry of modification to the building and the practices within it in order to attempt to go above and beyond the criteria needed to satisfy the MCL. Among other changes, they introduced padded cells for the “safer” confinement of excitable or aggressive patients, and the exercise yards were modified so that violent patients, who had previously been confined inside the building at all times, now had somewhere to get a little fresh air and exercise, albeit still separated from the others. 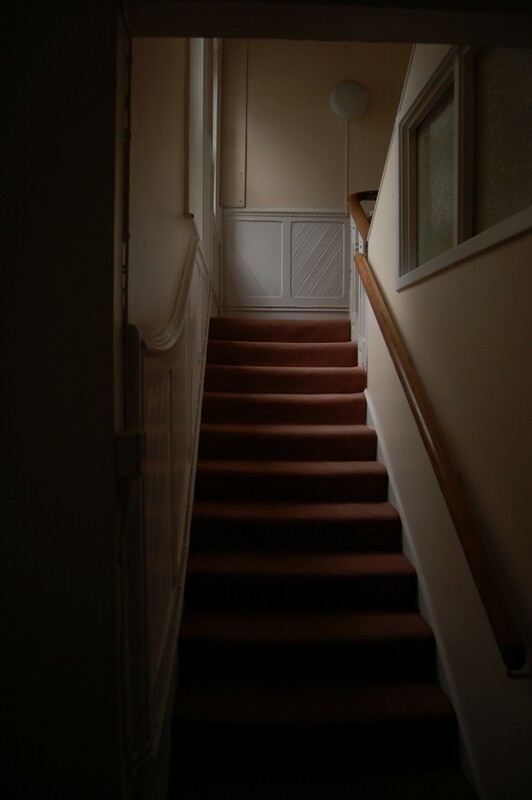 The MCL reiterated the common complaint that the asylum was cold, dreary and uncomfortable, and criticised methods for washing patients as well as their sleeping arrangements and the practice of throwing sheets over the beds during the day, to create an illusion of cleanliness and order. They were particularly dismayed by the shabby appearance of the patients themselves, who seemed not to be encouraged to dress properly, keep to routines or have frequent shaves and/or hair-cuts. 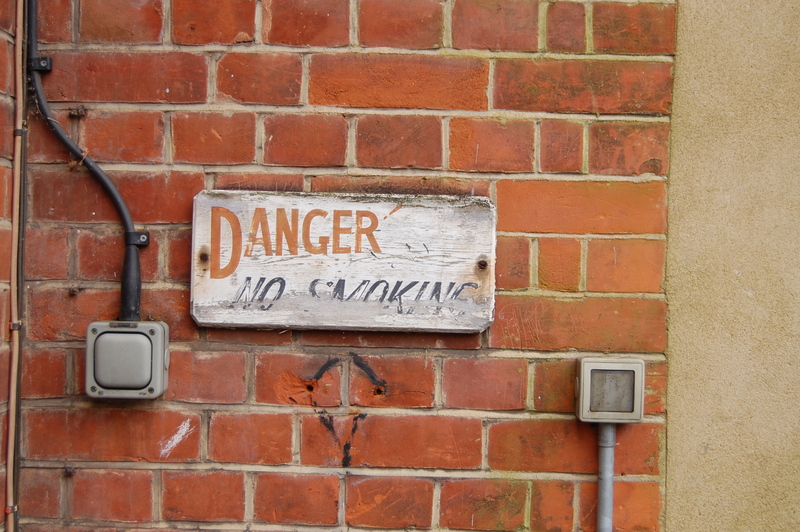 This general lack of motivation and slovenly demeanour was linked back to the lack of occupation, particularly for male patients, which despite some moves to address the problem over 20 years previously, had really seen only minor improvement. The Matron appeared to have more success at finding constructive activities for female patients however, and the difference between the genders in this respect seemed to be that occupying the male patients required some degree of imagination and effort, while occupying the female patients could be achieved simply through coercing them into the various “household” tasks such as washing, cleaning and food preparation which the asylum needed someone to complete anyway. The main negative thrust of subsequent reports tended to centre around the building itself, and the MCL felt it was very poorly situated, with the surrounding sprawl of London having engulfed it during the 60 years since opening, and that it presented a depressing environment unlikely to encourage stimulation or recuperation. 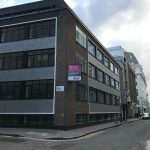 The MCL concluded that the Old Street building was no longer fit for use and the entire asylum should be closed and relocated to purpose-built premises outside the city. 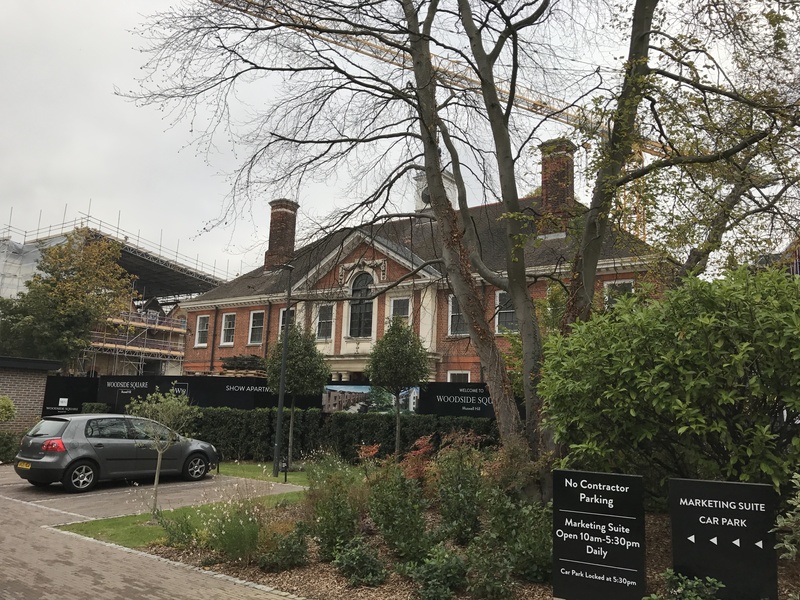 St Luke’s Governors predictably responded to the MCL’s criticisms by acknowledging the numerous problems with the building, but pointing to the usual lack of funds as the main obstacle to their acquiescence. Gradual improvements were difficult yet always on-going, and these swallowed up the majority of their funds, making relocation impossible, they argued. 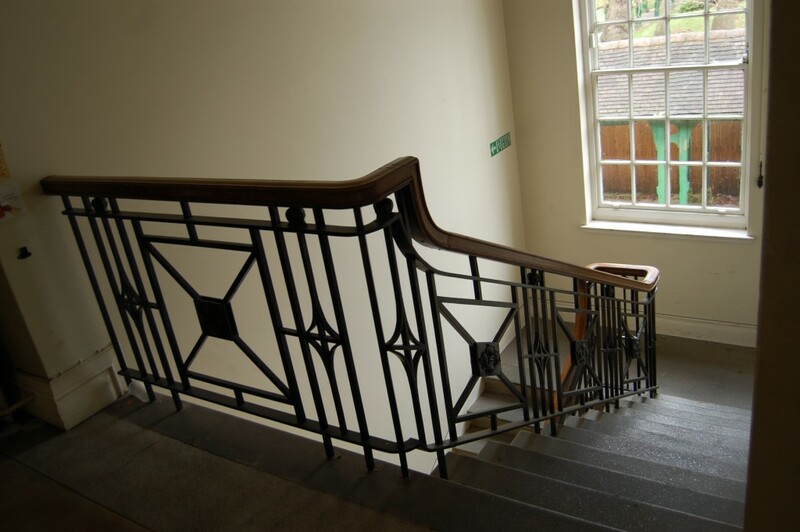 They noted how suitable the asylum was for patients coming in by train, and reminded the MCL of their success rates, which saw in excess of two-thirds of all patients thought to be curable actually being discharged as cured – a higher rate than any other public asylum at the time. Partly due to the public awareness that a proportion of their tax rates were now being diverted into running the County Asylums whether they liked it or not, charitable donations and subscriptions were beginning to dwindle, and by the late 1850’s, St Luke’s accounts were looking dire, with annual costs exceeding income by around £1,000 – a huge discrepancy at that time. The Governors blamed much of this problem on increased costs, which they felt were due to the efforts of keeping up with the recommendations of the MCL, in addition to their own exacting standards. The introduction of a more generous diet and the overall increased cost of all provisions, along with reduced numbers of fee-paying “boarders” (as the incurables were now known), the expense of extra bedding, furniture, decorations and other comforts, and the costs of a better heating and ventilation system had collectively contributed to this problem. They endeavoured to reduce the overall number of patients, beginning with the discharge of any incurable cases they felt were getting no specific benefit from being at St Luke’s. This may have been necessary and beneficial, or at least not actually detrimental to some, but would doubtless have been a poor choice for others, as many of those least able to help themselves (including elderly patients with no known relatives) were moved on elsewhere or simply discharged to unknown circumstances. 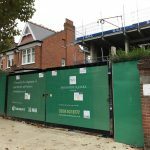 They also allocated more spaces for private clients whose friends or relatives could pay for their upkeep. But by 1860, St Luke’s accounts did look considerably healthier, and the environment within the asylum was greatly improved. In 1868, St Luke’s was able to purchase the adjoining graveyard, which had for so long stood within view, taunting the patients with its grim reminder of mortality. 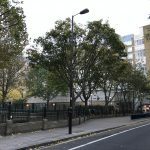 As there were no gravestones or other markers at the site, it was incorporated into the airing courts and used for exercise, later being turfed-over and turned into a pleasant flower garden. Dr Sutherland was succeeded by Dr Henry Monro (1817-1891), son of the disgraced Dr Edward Monro, who had so poorly run Royal Bethlem in its earliest years. Dr Ebenezer Toller was installed as Resident Medical Superintendent, and from this point in St Luke’s history, the role began to grow in importance. The MCL wished to see a resident Medical Superintendent in place at all British asylums, and wanted overall responsibility for running the asylum be moved into his hands, rather than those of the Governors and/or visiting or consultant Physicians. The Governors were slow to come around to the changes – having been both fortuitous in those who applied for its senior roles as well as careful about those it had employed, their succession of very capable and admired Masters and Matrons had understandably made them reluctant to deviate from a system which was felt to have generally served them very well. 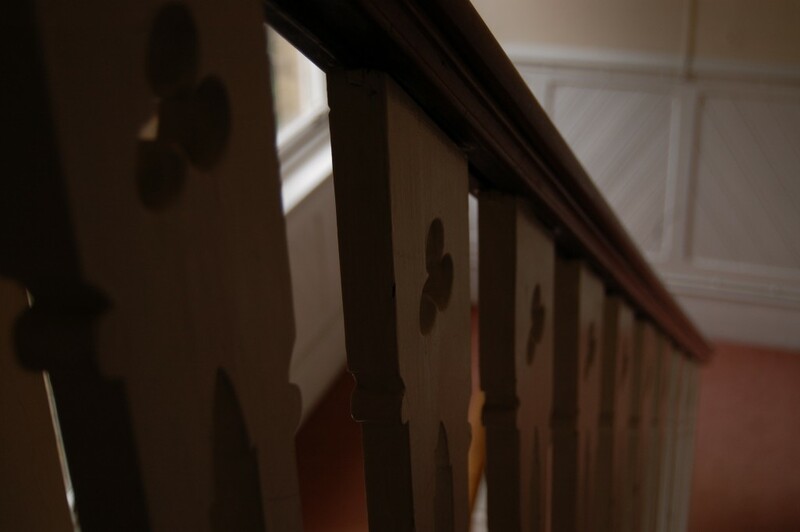 The fixed rate payment was abolished and a sliding scale of admission charges introduced in 1869, dependent on what the patient, their family or their parish was able to afford. This allowed St Luke’s to continue to provide for poorer patients, while also keeping their books balanced. 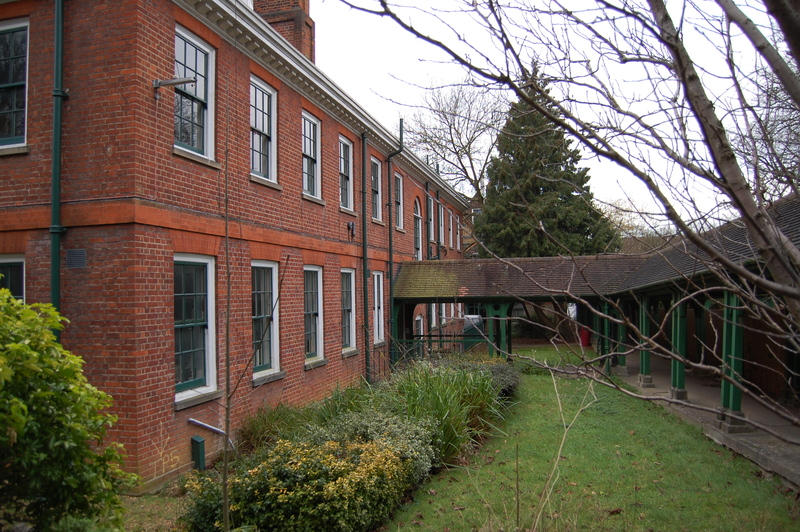 However, from 1870, with the opening of the new London asylums at Caterham (later St Lawrence’s Hospital) and Leavesden, two immense complexes accommodating nearly 4,500 patients between them, in addition to the 3,500+ already spread between Hanwell and Colney Hatch, the need to house pauper patients in London was significantly reduced, albeit temporarily. 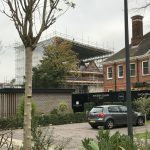 So, like Royal Bethlem before it, the great majority of St Luke’s patients would henceforth be from the middle-classes and the actual building itself would be altered to reflect that change. In 1871, the bars were removed from the cell windows, and all the windows were enlarged. This somewhat helped to counteract St Luke’s notorious internal “gloom”. As the MCL continued to push for St Luke’s to relocate outside central London, a compromise (or perhaps merely an appeasement) was initiated in 1880, as St Luke’s rented and renovated an empty manor house at St. Lawrence-on-Sea, near Ramsgate, Kent, for the purpose of housing convalescent patients in a rural setting. 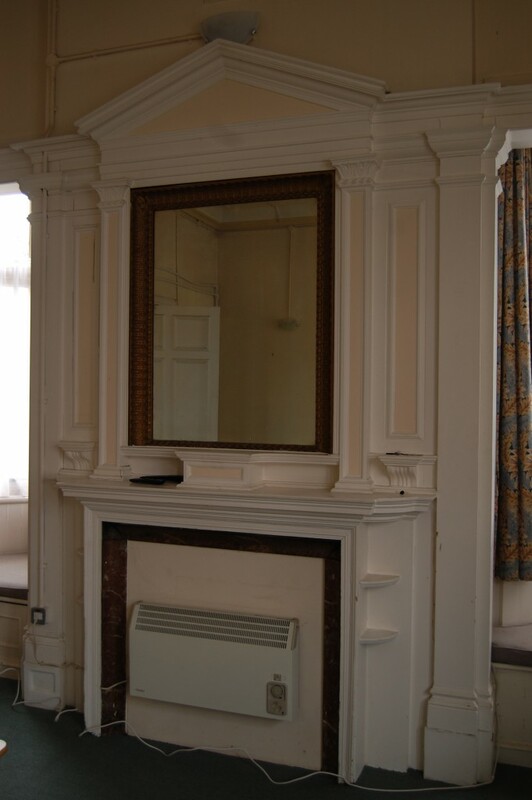 Named “Nether Court”, it stood on 12 acres of land by the coast and could accommodate 16 female patients in a comfortable “domestic” setting with a staff of 5 attendants and a resident Matron. Staff from the Old Street building were allowed to work there as a break, of sorts, and although never becoming the self-sufficient unit it was intended to be – actually becoming something of a burden on resources – it did receive very positive reports from staff, patients and inspectors alike, along with an excellent recuperation rate. 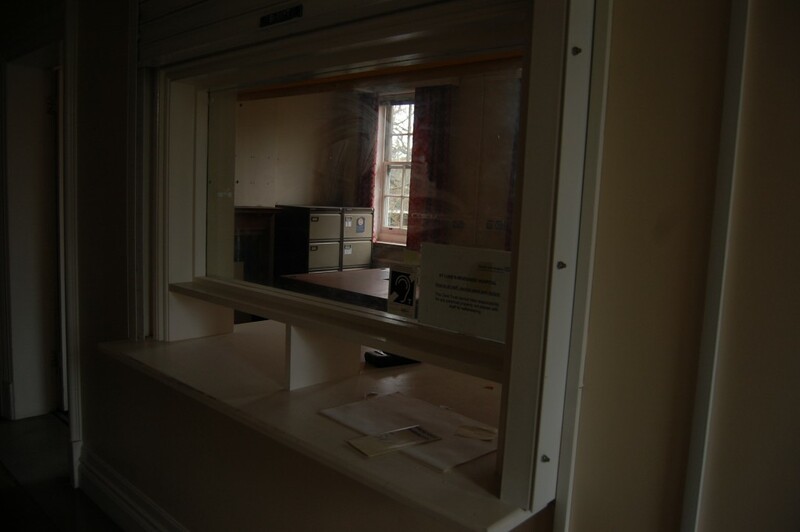 It remained in use until 1915 when requisitioned as a Red Cross auxiliary hospital during WW1, then closed in 1918 as the area it stood in was frequently hit by German bomber raids. It was eventually sold to a private buyer in 1921. 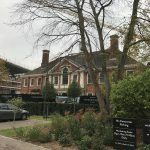 In 1910, St Luke’s also acquired Welders House, a modern (at the time) country house and adjoining farm near the Chiltern Hills in Buckinghamshire, which served as a second convalescent hospital for both male and female patients. It stood on a rise with pleasant views, landscaped grounds and fine walks. On the 24th April 1903, the Lord Mayor of London, Sir Marcus Samuel (1853-1927) visited St Luke’s, toured the building, and gave great praise regarding its management and many successes. A few years earlier, Samuel had attempted to broker a deal whereby St Luke’s would be amalgamated into the City of London Asylum (later Stone House Hospital). 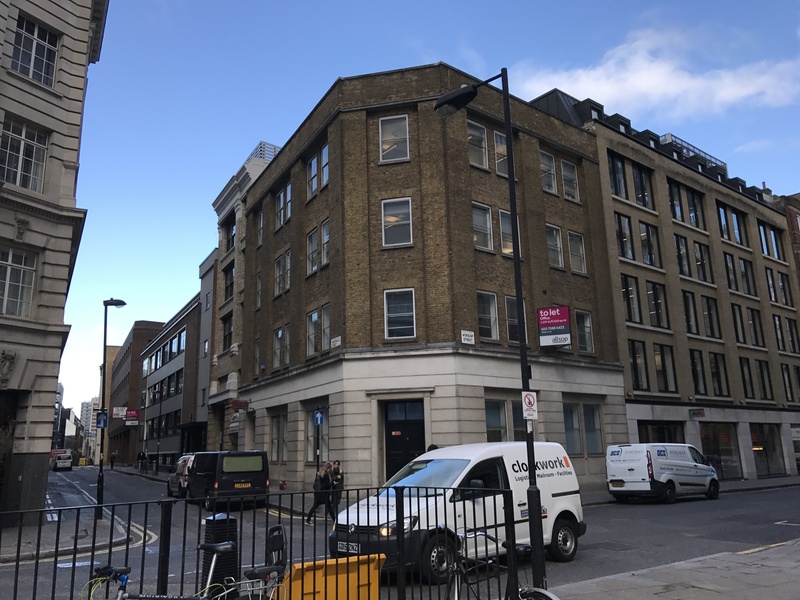 One can see the logic at work; Stone House was opened in 1866 as the pauper asylum for “The City” of London, but by the turn of the century, there were very few resident paupers (lunatic or otherwise) left in that small geographical area to make use of it. 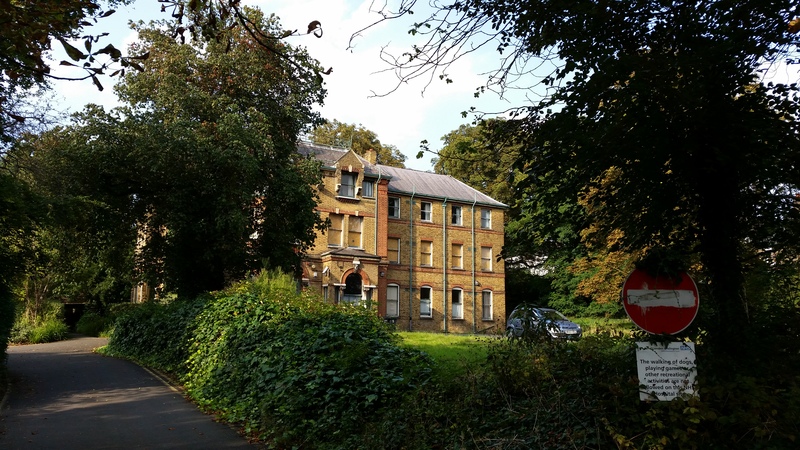 Being a very fine building in a picturesque setting overlooking the Dartford Estuary, it would have provided the perfect “rural” position the MCL urged for, and all within an existing modern purpose-built asylum. But St. Luke’s had again refused. Quite what had motivated Samuel to personally intervene yet again is unclear, but as well as being Lord Mayor, he was also a shrewd businessman (founder of what is now the Shell company) which does make it a little difficult to imagine that his own unselfish interest in the welfare of the insane, rather than the increasingly valuable Old Street real estate, saw him revisit the topic yet again. In October 1913 an offer of £135,000 was made by A & F Gee & Sons to buy all buildings and land at the Old Street site, and this prompted a new round of negotiations under which, finally, St Luke’s and St Bartholomew’s were able to agree. 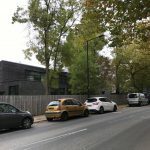 £92,000 was to go to the former, and £43,000 to the latter, but somewhat farcically, they had taken so long to reach an agreement that the 6 month purchase option had run out, and the sale never actually took place. Mercifully, the format of the agreement was kept without further dispute, and in 1916 the Bank of England made an offer, which was accepted and seen through to completion. The Bank of England had ties with St Luke’s dating back to 1809, when their Court of Governors had voted to donate 20 guineas annually to the asylum, and they now wished to convert it into their new banknote printing works. The patient waiting list was immediately closed, and no new admissions accepted, so that patient numbers gradually fell throughout 1916. All those who remained at the end of the year were either discharged or moved to other London asylums, with the last patients leaving on the 3rd day of February 1917, after a long and peculiarly cold winter. 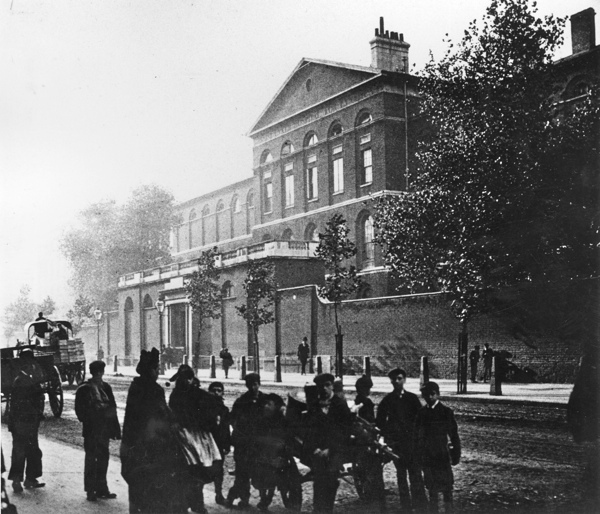 In the 166 years since the founding of the Moorfields site, 25,569 patients had been admitted to St Luke’s. Of these, 11,077 were discharged as cured, 5,205 as “relieved”, and 6,744 discharged or taken away by relatives as “not cured”. It was noted however that many of those designated “not cured” did not necessarily gain no benefit whatsoever from their time there, as it was felt that the regime of care, treatment, self-discipline and routine which was taught to them had allowed many patients to attain a stability which at least meant they could cope better, or be looked after in greater safety by their families. 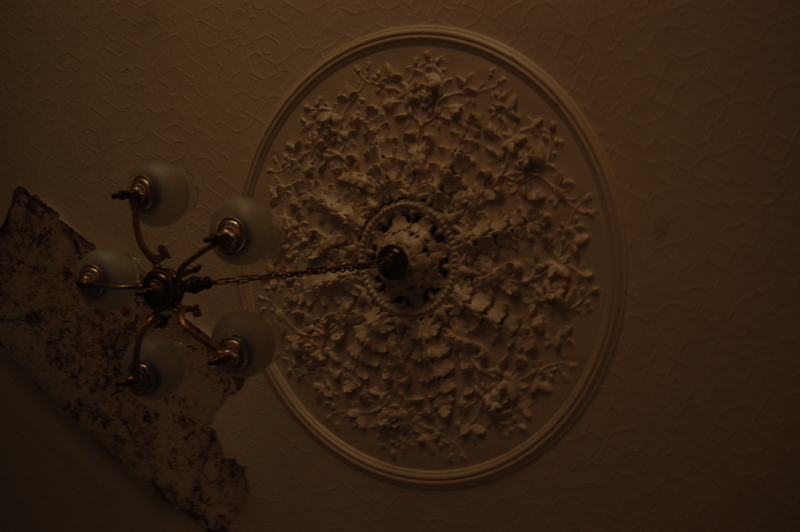 Having closed during wartime, renovation to its new purpose was slow. 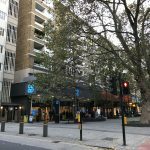 The whole building was completely gutted as the new owners needed a totally different layout and stronger floors for its new role. This was hampered considerably when in 1916, during a German airship raid, a bomb hit the female wing, smashing through the roof as well as both floors, and all the way down to the basement. The Old Street building served the Bank of England well for more than 40 years but eventually, modernisation was again required and the printing works were relocated to Debden, Essex. The Old Street St Luke’s survived 120 years of mad-doctoring, survived being slowly choked by the exponential growth of London, and survived fleets of bombing raids spread across two World Wars. But like so many of Britain’s fine, characterful Georgian and Victorian buildings, it could not survive the brutal modernisation of the post-war period, which spared not a shred of sentimentality, aesthetic appreciation or historical consideration for this structure which The Builder magazine had described as “amongst the finest examples of brickwork in London” and the Journal of the Royal Society of Medicine called “one of the most spectacular buildings in 19th Century London”. 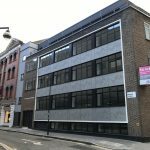 St Luke’s Old Street building was completely demolished in 1963 and the area it covered is now yet another identikit scene of generic shop windows and anonymous office blocks which increasingly threaten to drain London of its individuality, character, and rich history. Like a wandering spirit without a body, St Luke’s still existed as an entity even though it did not have a building from which to operate. 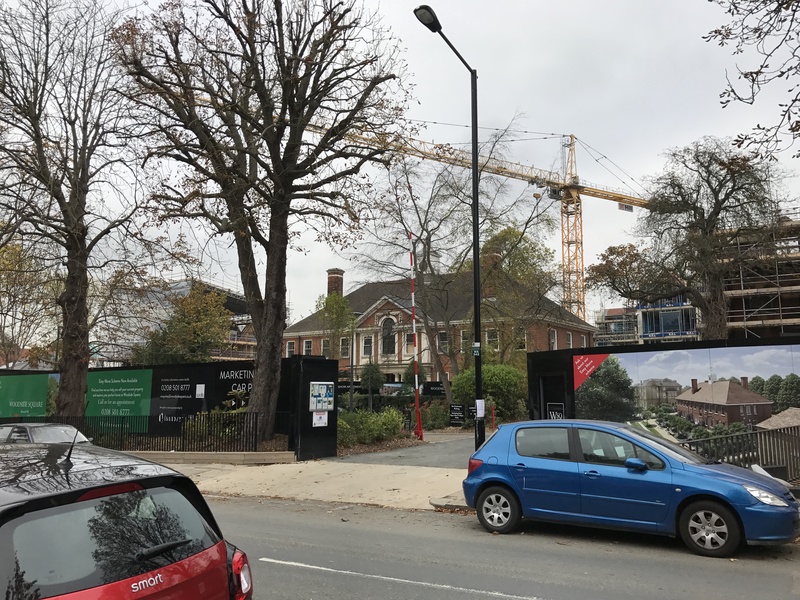 Even with the Old Street site sold, they did not have enough money to build the all-new 200-bed asylum previously hoped for. 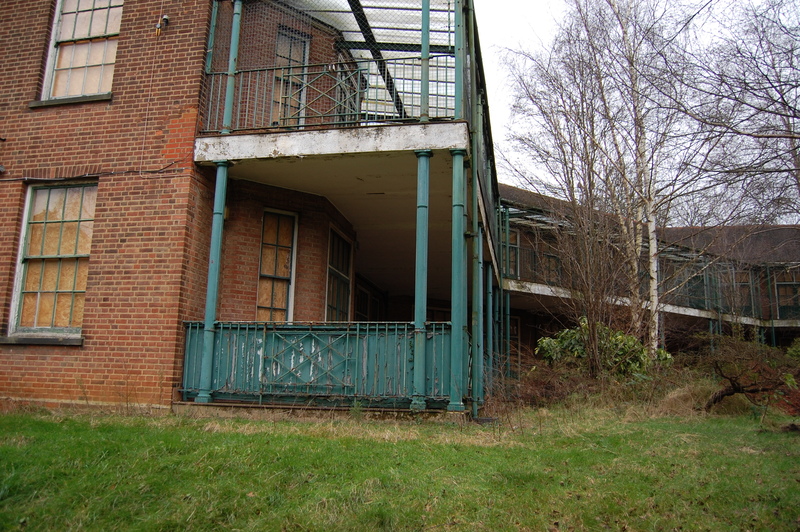 They initially planned to extend the Welders House site with a series of small villas to create a miniature colony-plan asylum for voluntary (non-committed) patients, complimented with a small out-patients clinic in central London – the out-patients clinic did come to fruition, operated under St Luke’ guidance through The Middlesex Hospital. 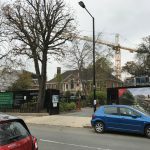 After much deliberation, a Sub-Committee was appointed to search for possible new sites, and a large villa named Norton Lees was found on Woodside Road, Muswell Hill. Conveniently, a very similar villa named Roseneath, standing just next-door, was also for sale and upon enquiry, it was discovered that a third villa (and the only other house on Woodside Road), named Lea Wood, was owned by a man who might be willing to let them acquire the house, upon fulfilment of certain conditions. 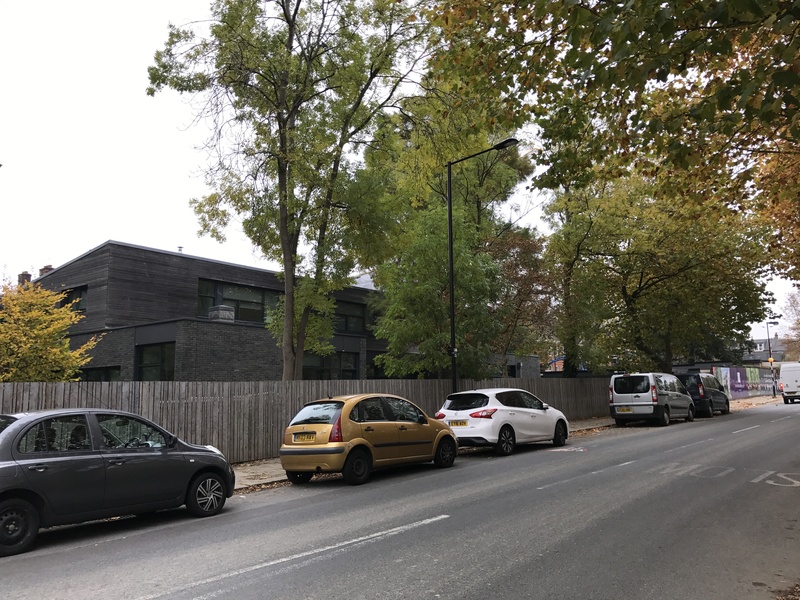 After the usual surveys and planning, St Luke’s was able to acquire two of the three properties for a reasonable sum. All three villas together spanned around 660ft across, and the nicely wooded gardens covered an area of around 6 acres. Architect T. A. 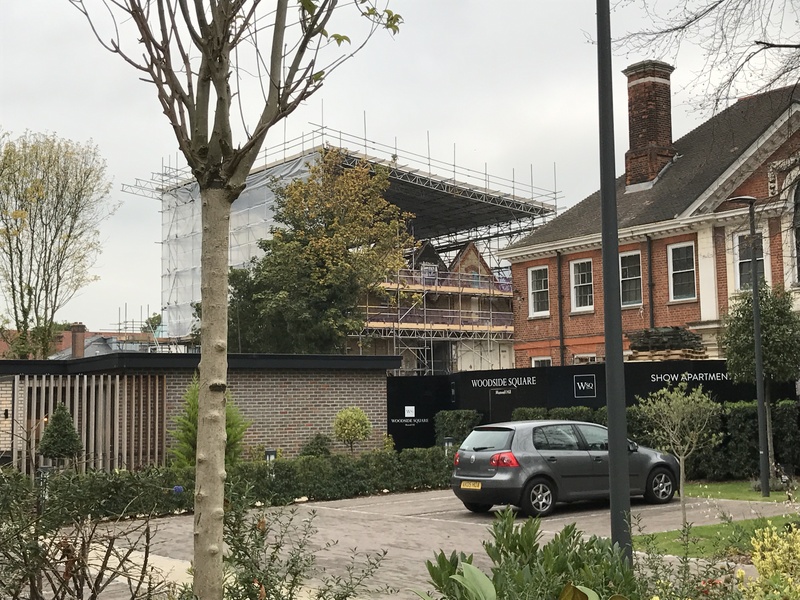 Pole was brought in to complete a design that would turn the villas into a new mental hospital with very similar functions to the MSLCC (the out-patient clinic), albeit on a larger scale. Pole initially submitted a design for a building with 100 beds, but the Governors wanted to start with something a little less ambitious, and requested a redesign incorporating only 50, with the option of later expansion into the adjoining land. It was decided that the villas should be joined together by walkways, with a brand new admin block built in the centre, which T.A. 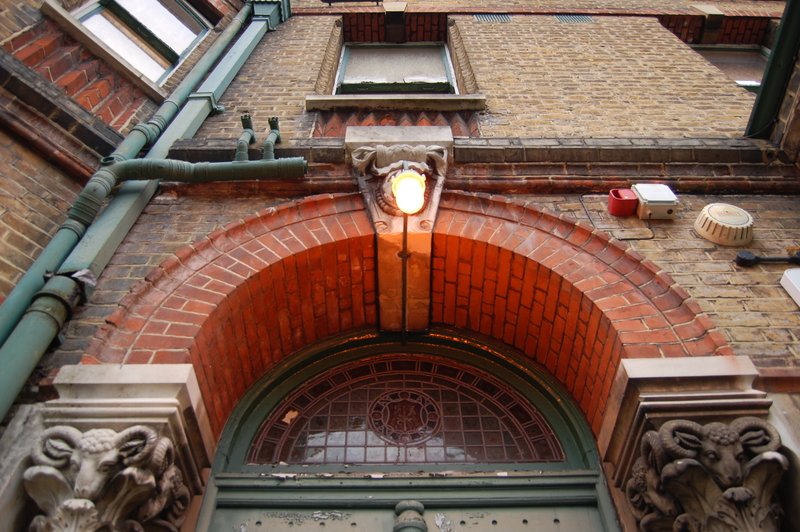 Pole designed in a modest and refined mix of red brick dressed with stone, slightly reminiscent of The Maudsley, which as the first voluntary mental hospital in Britain was something of an inspiration to the new St Luke’s. The symmetrical admin building has a projecting stone centre with 6 Tuscan columns flanking the entrance. 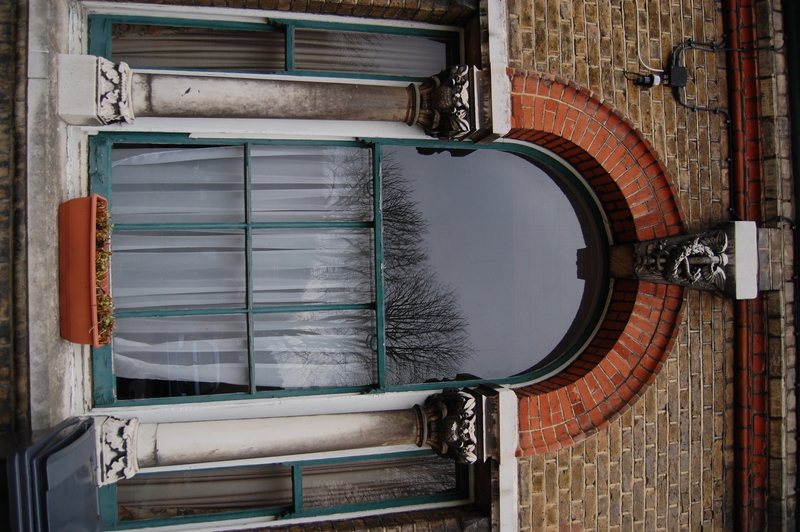 Above, the stone centre continues into an arched stair-window with floral stonework, which in turn pushes up through the base of a “broken” pediment. The roof is topped with a square wooden cupola, featuring a clock. The foundation stone of the Old Street St. Luke’s had been laid by the Duke of Montagu on 30th July 1782, and was dug up by chance during excavations to strengthen the building when it came under the use of the Bank of England. This stone was returned to St Luke’s Governors for safekeeping and so was brought out of storage and placed in the entrance hall of the new Woodside building when finished. The other three main buildings are comfortable enough distances away to give something of the feel of a tiny colony-plan asylum, while also softened by hedges, trees and shrubbery and set back from the street. 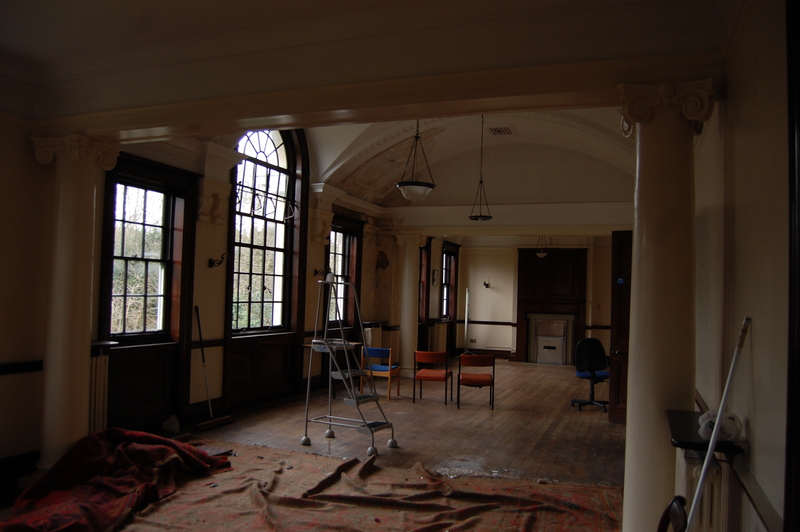 A recreation hall and an operating theatre both appeared in the original plans but were abandoned due to budget restraints. Norton Lees was converted into the new nurses’ accommodation block and the new location was formally named St Luke’s Hospital for Nervous Diseases, opened by Princess Helena Victoria on the 7th November 1930, with Dr R Withers Gilmour as the first Superintendent. Having only been set up to take voluntary patients (as at the MSLCC), rather than those who were “committed”, it was free from inspection or any other influences of the BOC (Board of Control, which had evolved from the MCL). Arguably, St Luke’s had seen some of the benefits of psychotherapy at the MSLCC as the vastly more individualised approach used there had shown the benefits of allowing the patients to discuss their problems and feelings from their own perspectives. 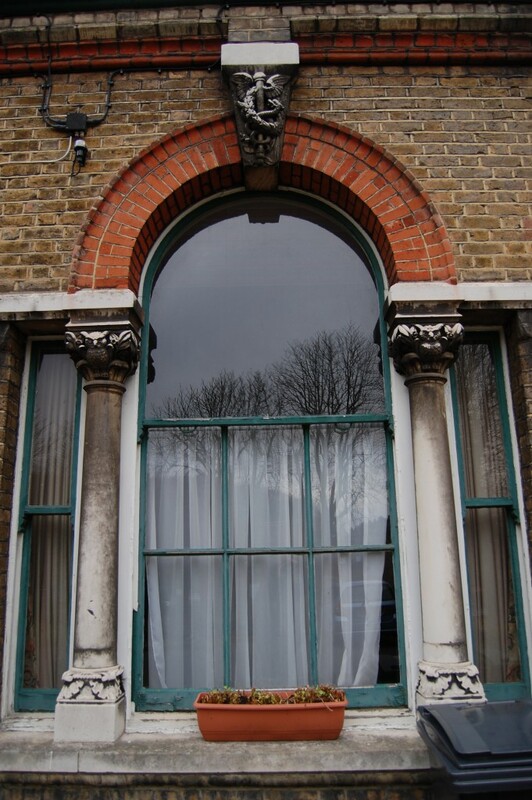 As the psychotherapy movement grew across the world, so St Luke’s appointed its own Visiting Psychotherapist in 1933. The medical staff themselves pushed for the introduction of occupational therapy and in 1934, an Officer was also employed to perform this role with the patients. In June 1939, plans were drawn up to convert Lea Wood into a new ward, but these were put on hold as on the 25th August, a telegram arrived from the Ministry of Health warning St Luke’s to “stand by” for the possible outbreak of war. Now stuck with a full roster of staff but no actual patients, St Luke’s engaged in a series of informative staff lectures while awaiting instruction on what its new wartime role was to be. 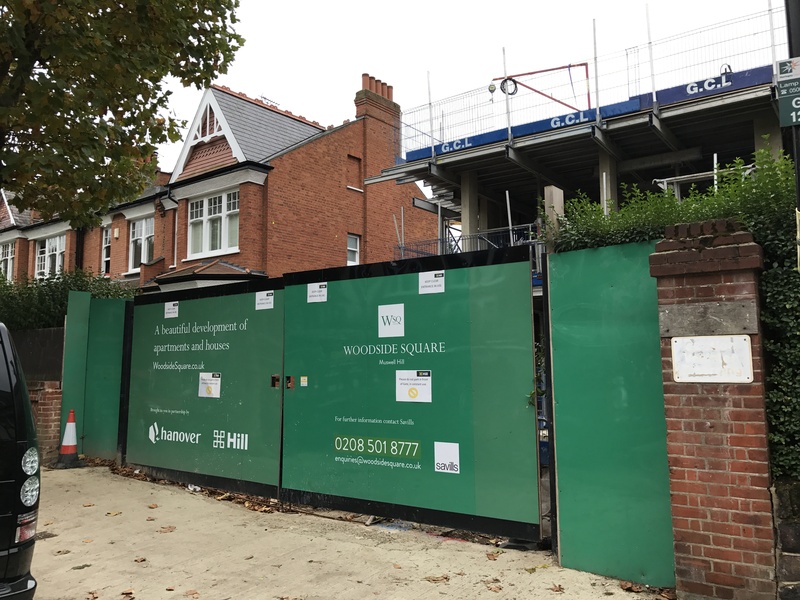 In October, Dr Harris was informed that the Woodside buildings had been considered for conversion to emergency hospital use, but were in fact to perform a more familiar role, treating Officers of His Majesty’s Forces and the Civilian Defence Forces for neuroses and mild psychoses. 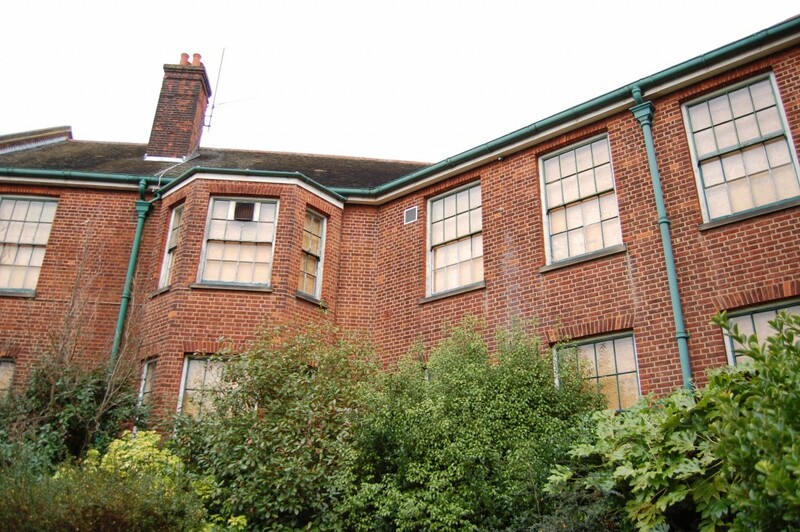 Having proved they could evacuate the Woodside buildings quickly if needed, St Luke’s was permitted to re-admit some private patients and by early 1940, they also had 12 patients referred from the Armed Forces. As with most hospitals and asylums during wartime, the majority of the male staff had left to take up some other role in the war effort, but Dr Harris had only to cope alone for a week before Dr Laetitia Harris was appointed to share the Superintendent role with him – making her the first female Superintendent at St Luke’s. Once the initial loss of staff had been stabilised, and new people (mostly women) employed, a new routine was formed, with all working harder than ever, as was the case at all British hospitals during wartime. By September 1940, St Luke’s had almost returned to peak capacity, with 49 patients, 36 of whom were now sent from the Armed Forces. It was agreed that Lea Wood should be converted to ward use as quickly as possible. A house on Grand Avenue, just behind the Woodside buildings, was bought and converted into a female ward, known as Dormy House. From this point onward until the end of the war, St Luke’s was only receiving patients from the Armed Forces, and occasionally had to keep beds vacant on their behalf. With such regular income – all patients being paid for through the Ministry of Health (MOH) – their financial position was actually more stable than it had been for quite some time, but the Governors exercised their usual care in such matters, squirrelling funds away in anticipation of the significant repair costs throughout and, assuming Britain was victorious, substantial renovation they had planned for the end of the war. A Military Registrar was appointed in 1941 to assist with maintaining “order”, and shrewdly involved some of the patients who had served as Officers to assist with this. Eventually, such problems were largely controlled quite amicably, and an Instructor Sergeant Major was sent to provide physical occupation for the men through games and regular exercise. 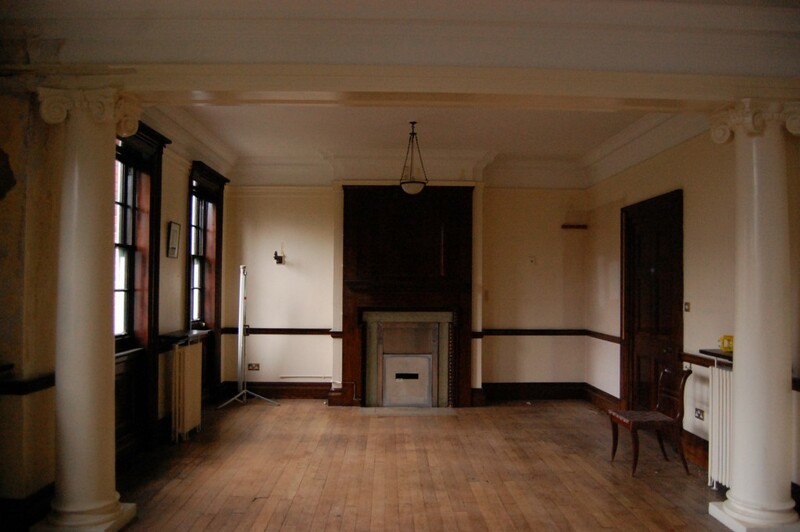 The Board room was used for dances, films and other forms of entertainment, the local vicar allowed them to use the parish badminton hall, a local school allowed them use of their playing fields, and some patients worked on the gardens at Woodside. St Luke’s was felt by many to be among the most favourable and comfortable of British War Hospitals a Serviceman could be sent to during WW2. Cases were admitted from all sections of the British Armed Forces, as well as patients originating from Canada, New Zealand, India, the USA, Czechoslovakia, Poland and France, with 1,705 patients in total admitted between 1939 and 1945. The first non-military private patient was admitted again in November 1945, but St Luke’s remained an official military service hospital until the “appointed day” of the 5th July 1948 when, like most existing mental hospitals, it became a part of the NHS, and nearly all beds were to be allocated for general use by any member of the public referred, regardless of class or background. Once again, the St Luke’s Governors found themselves attempting to define precisely what role the charity could play in the ever-evolving field of mental health provision. They hoped to use St Luke’s wide experience and rich history for the broader advancement of psychological and psychiatric medicine by evolving it into an official teaching hospital. 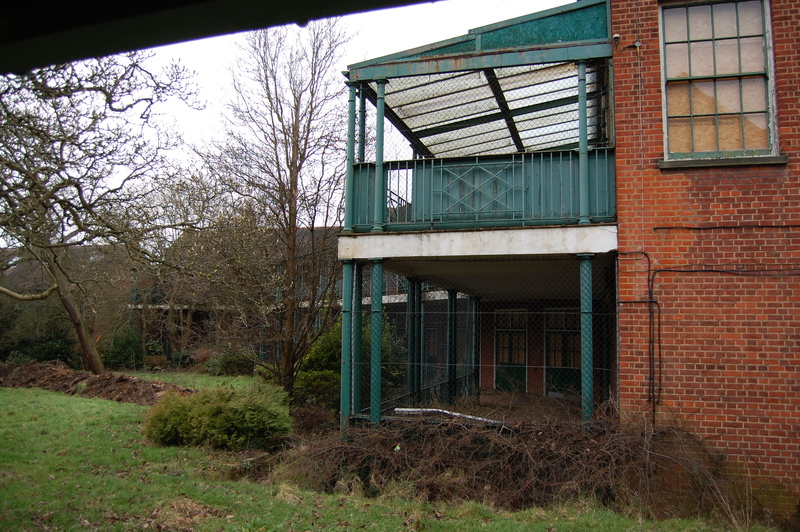 Through much discussion and consultation, they came to the conclusion that the best way forward was to try and link up with an existing mental hospital, in order to work alongside them to provide a “group” of hospitals; a selection of buildings and units which might cover all known aspects of mental health research, care and cure. 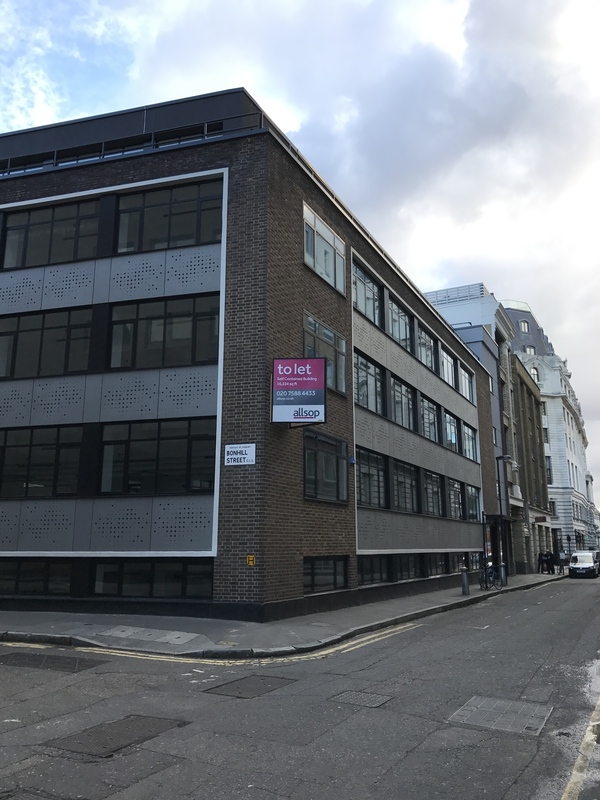 With their historic links to the City of London and fairly close proximity, it seemed natural to look toward Stone House; negotiations began, but came to nothing. 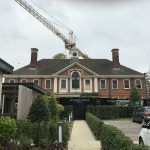 The same discourse took place with Bethlem Royal, but the two buildings sat in different regional jurisdictions (which complicated matters), and rather further apart, so these talks also came to nothing. 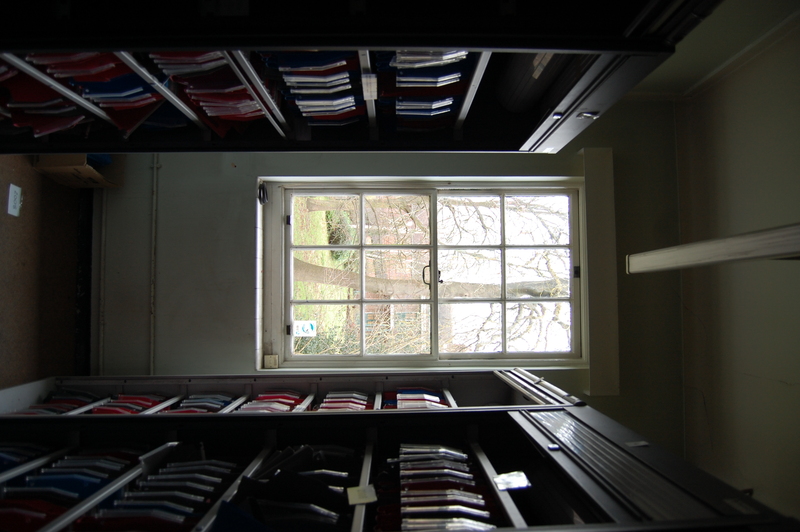 The Chairman of the BOC was eventually consulted, and his opinion was that it would be best to look toward the local university, in this case the University of London, to advise on how best to set up some teaching provision. The advice of their Secretary was that St Luke’s most productive course would be to establish a “teaching group” with either the University College Hospital, or the Middlesex Hospital. Given their earlier links to the Middlesex Hospital, the Governors initially made steps toward the latter. On the 23rd April 1948, the list of official teaching hospitals was published as the immense new National Health Service began to re-order the thousands of different institutions across Britain which had now come under its jurisdiction. And so, just two years before its 200th Anniversary, St Luke’s status as an independent entity was finally over. A number of St Luke’s Governors would be amalgamated into the Board of Governors of the Middlesex Hospital and a new, smaller Board was formed for the psychological department, whose funds would be ring-fenced, which at least meant the former entity would retain some control, albeit in a diluted form. Indeed, this arrangement seems to have been the only way in which St Luke’s could hope to retain any degree of autonomy under the NHS, as endowments for designated teaching hospitals were to be controlled by their respective Governors, as opposed to being overseen by the Minister of Health, as with most hospitals and asylums. As time went by, the numerous Boards and Trusts would see membership diluted and crossbred so many times that essentially, while St Luke’s would remain as a physical location, its additional status as a charitable entity and a “concept” would gradually disappear completely over the following decade or so. 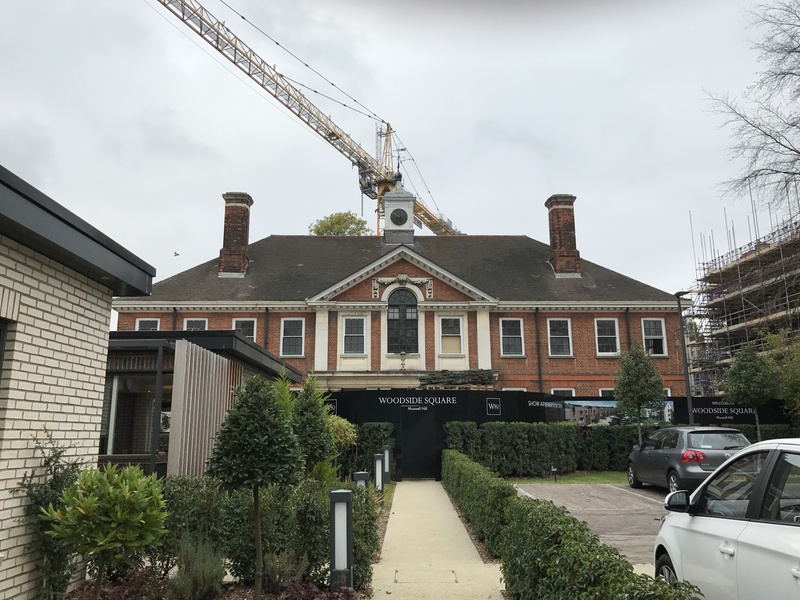 What had been the Woodside incarnation of St Luke’s from 1930-1948 was now officially the “Woodside branch of the Department of Psychological Medicine of the Middlesex Hospital”, although people naturally continued to refer to it simply as “St Luke’s” or “Woodside”. With all wards reconstructed and new ones developed, it was now capable of taking up to 100 patients. Former Superintendents were honoured in 1964 when the “Noel Harris” wing was opened for “acutely disturbed” patients and a new block, “Simmons House” was built in the grounds in 1968, for the treatment of adolescents with substance dependencies. 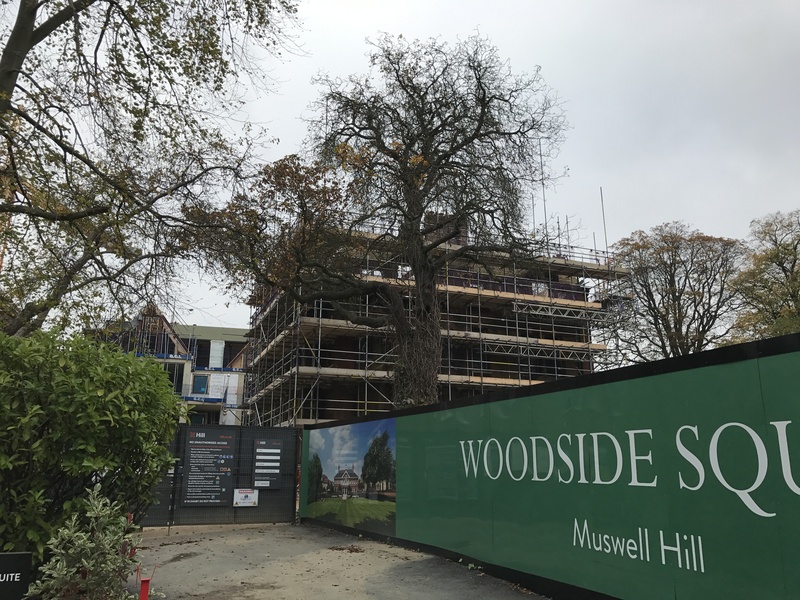 By 1974, when Woodside was serving a greater number of outpatients, as was consistent with general mental health provision at the time, it contained 80 beds and finally broke links with the Middlesex Hospital. 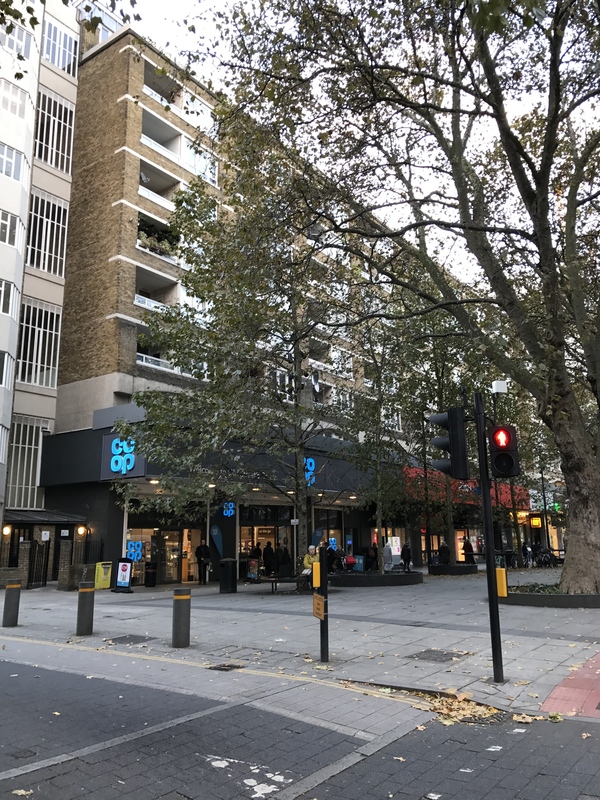 Initially operating as an individual health centre under the North East Thames Regional Health Authority, the responsible body has changed a number of times with St Luke’s latterly overseen by the Camden and Islington NHS Foundation Trust (C&I). 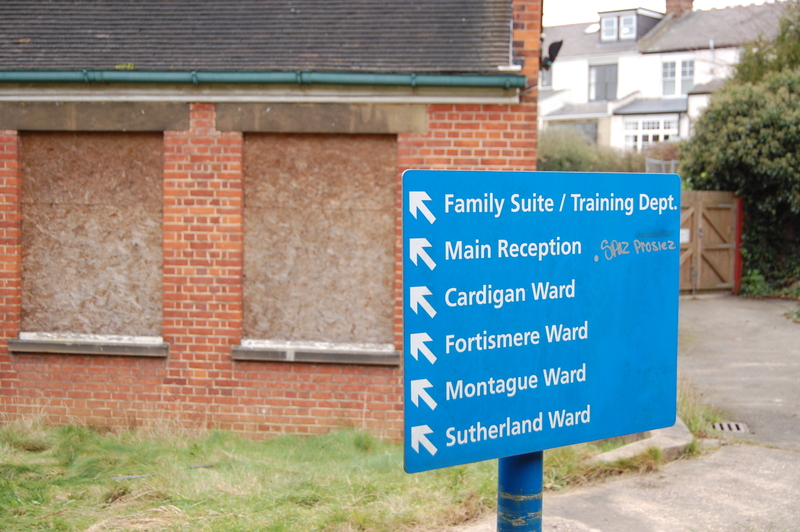 While the C&I Trust declared its intentions to relocate all beds and other mental health services to just two “modern” sites, concerns about the closure of St Luke’s were refuted in 2009 when it stated that it would merely be down-sized, with 50 beds remaining for residential and rehabilitation services. 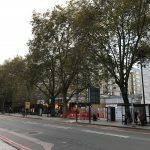 However, the Trust launched a consultation on the site’s closure in June 2011, even though most of the buildings were already left empty and/or unused, and only a small in-patient rehabilitation unit, along with Simmons House (child and adolescent services) remained. 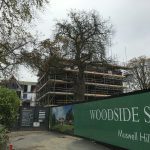 As with many such “public consultations” there was a clear streak of a fait accompli running through it, demonstrated by the fact that the Woodside buildings were already empty and falling into disrepair by the time the lip-service “consultation” on their future use took place. The document also presents only two options, both of which it then goes on to state are completely unworkable, thus immediately discouraging wider discourse while ostensibly meeting the Trust’s legal obligations to engage in such a process. And so St Luke’s faced the same fate as so many other fine hospital buildings and estates once entrusted to the NHS for the benefit of the British people; the sale and / or demolition of these grand, well-built, historic places to plug some financial shortfall just long enough to pass the problem on to a successive Government and / or administration. 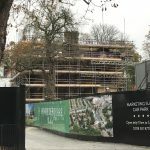 By 2013 the buildings were disused and by 2014 had been sold to a development company, although thankfully, the main buildings are scheduled to be preserved in the plans.